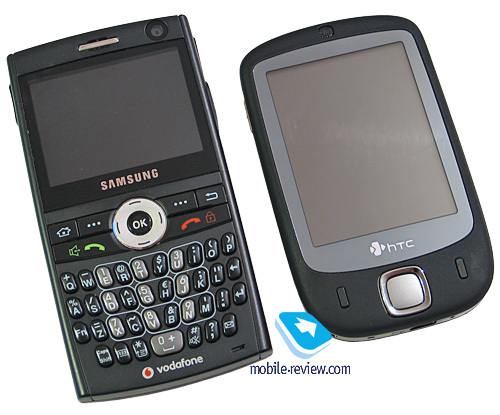 The importance of this device for HTC could scarcely be overestimated – right before us is the new approach to Window Mobile interface development, change of the guideline. Naturally, many will instantly cry fie upon the company for rolling out only marginal updates and making up flamboyant ads seemingly for no reason at all. 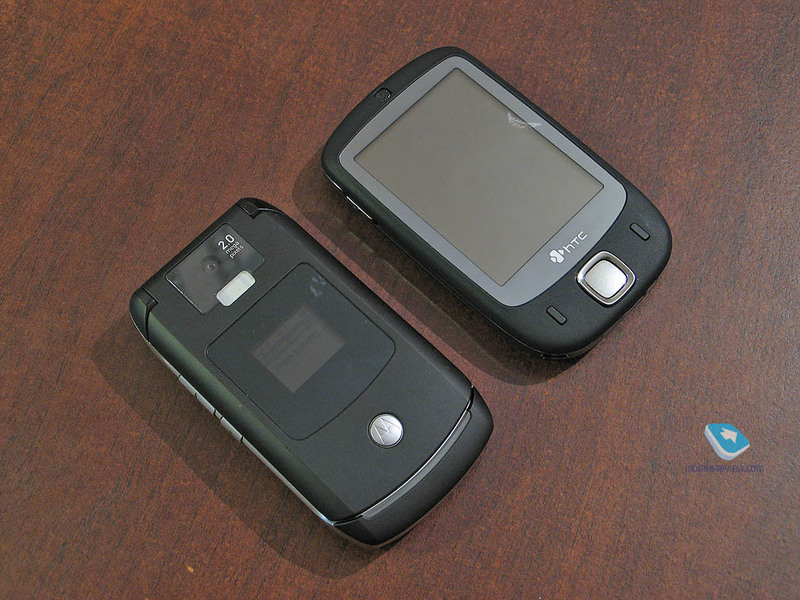 The design, as well as the device’s aim at the segment of unsophisticated users that have never held a communicator before, was covered in the first part of the review. 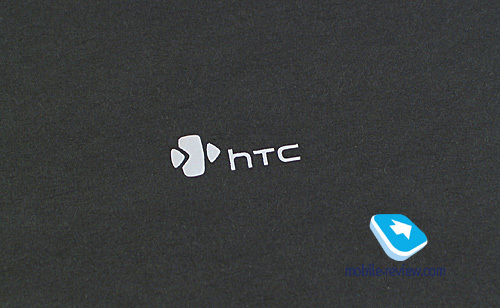 Today we are focusing on the details, trying to find out what HTC has put up – a soap bubble, or a true local revolution? 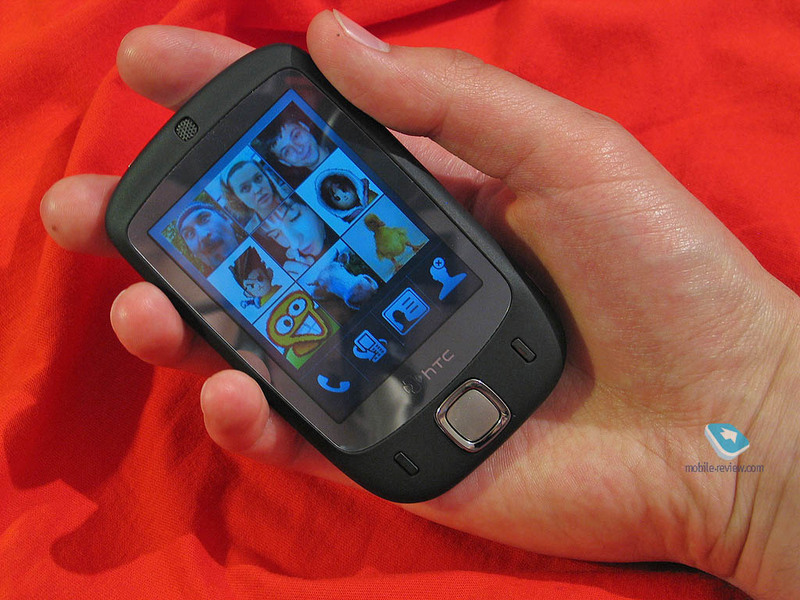 Nobody will wonder anymore if told that in many respects the HTC Touch’s debut right at this time, in June, is a very accelerated event – moreover it requires no further proof that the development of a new interface and tweaking the communicator’s software department to it is nothing else but an attempt to compete with the impending iPhone. It is not about direct rivalry – these are two vastly different market segments and target audiences, but still, nothing cancels the fact of partial competition. 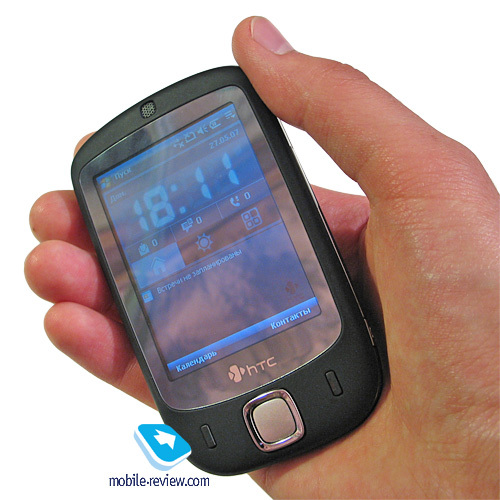 Launching the HTC Touch, in truth, the company is not trying to turn the world upside down or reaching for the mass market, even though draws great deal of attention to the new communicator. Goal – showcase the platform’s abilities and its future. This device is by no means exceptional design-wise, having the Samsung i710 as the competition. On the other hand, it is HTC that blazes a trail with a model flaunting wholly new control scheme, which the iPhone makes more use of. 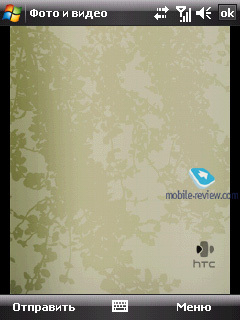 Giving it a go, HTC shows that it is actually interested in this field and wants to work its way through it. 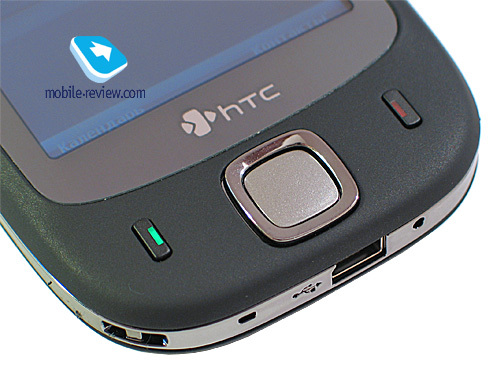 In many reviews on HTC’s devices we mentioned that the company doesn’t mind experimenting and making up quaint solutions. 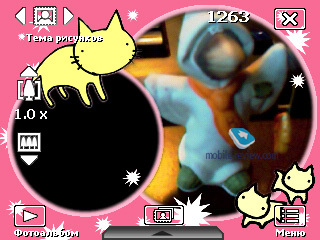 And the HTC Touch comes from this camp of guinea pigs. I suppose we shall begin our acquaintance with the device from the basics – the box. 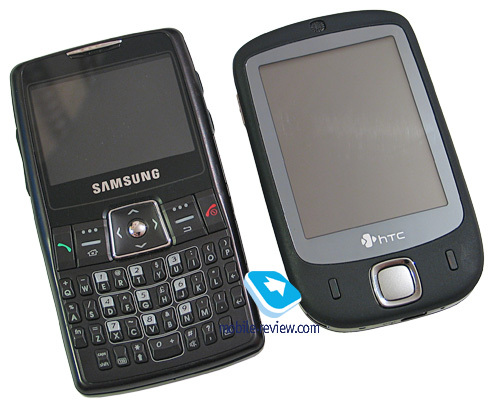 As a rule in the reviews of handsets and other devices the boxes they come in suffer from complete lack of attention but HTC Touch can be referred to the premium products in this respect. 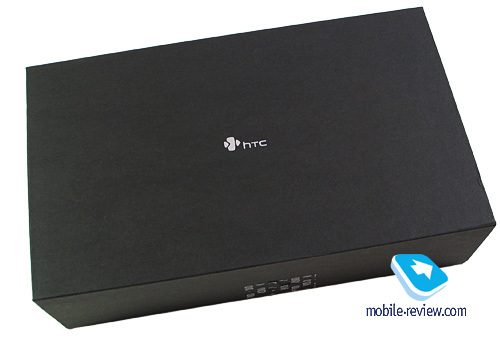 The device is packed into a black box, made of thick carton with only HTC logo engraved on it. The box is clad in a cardboard case, on which are brief device information and a communicator’s picture. 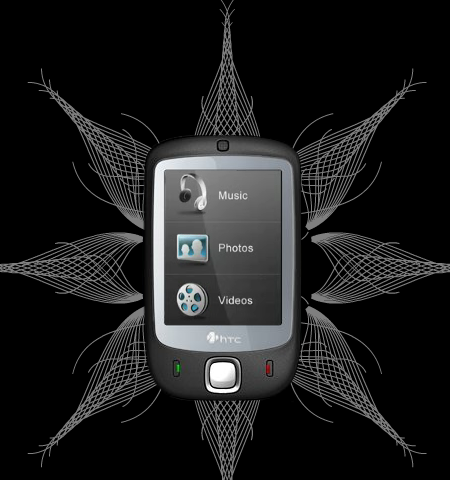 The image of HTC Touch is placed upon an ornate flower woven from numerous of tiny lines. It looks beautiful and eye-candy. The entire box styled in no-nonsense manner, it doesn’t strike the eye with flamboyance or non-sophisticated looks either. After opening the box you see the communicator itself and the headphones placed inside the special dents in the foam rubber plate. Here I’d like to focus on this plate design. 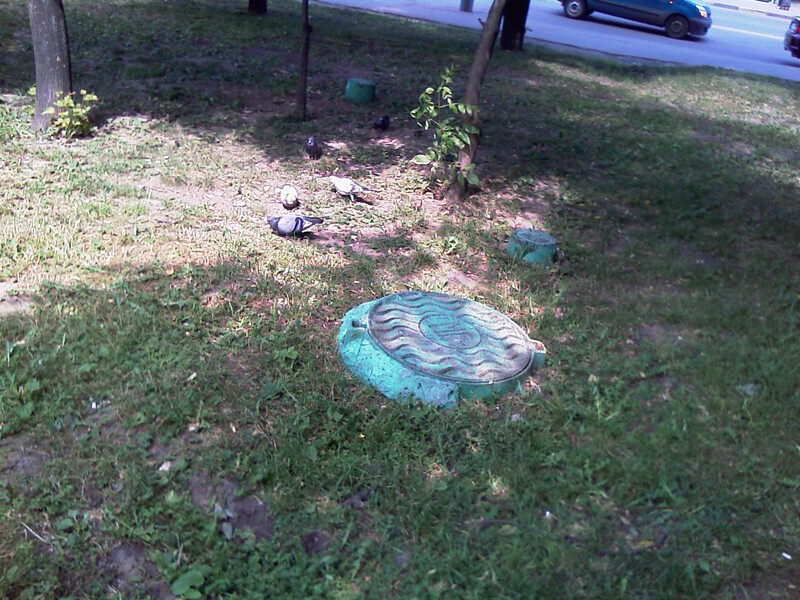 On its surface you can find small icons symbolizing messages, photo and music (I missed the meaning behind the first icon). 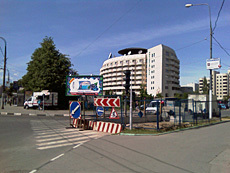 For the company it is one of the first steps towards products’ self-advertisement not as business-minded devices. 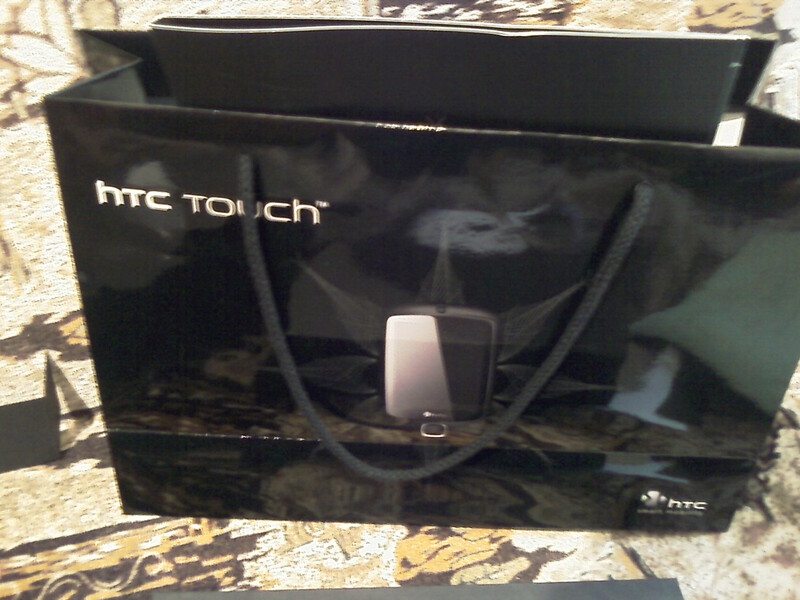 Before we saw the focus on the music part in the HTC P3350 (Love). It is clear that such advertising symbols on the box will not do this alone and won’t make the users associate this product with multimedia but at least HTC has started on this guideline. The rest constituents of the box are standard, though while the sales package is by no means rich, it still has some amenities inside. The first one is protective film, the second is a spare stylus. From the accessories left we would mention new headphones and the carrying case totally uncharacteristic of communicators. The case itself is a small container for the communicator. 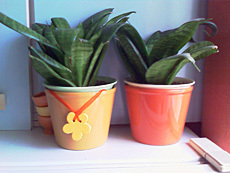 It can be used only when carrying the device in a bag or rucksack. 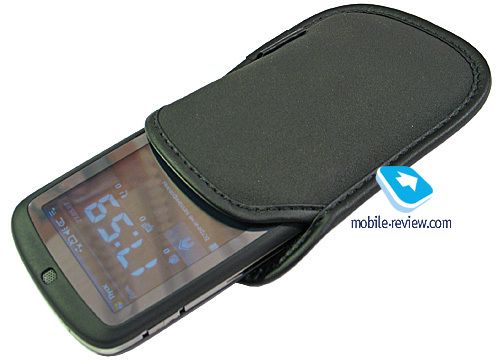 The case lacks any sort of clips, so it isn’t tailored to being worn on belt. 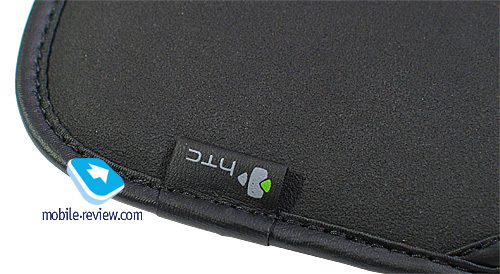 On the one hand you might want to stay frustrated about the idea of making the case in the form of a pouch woven from solid fabric, though on the other hand in the case of the HTC Touch it is evident that the carrying case plays a certain role. 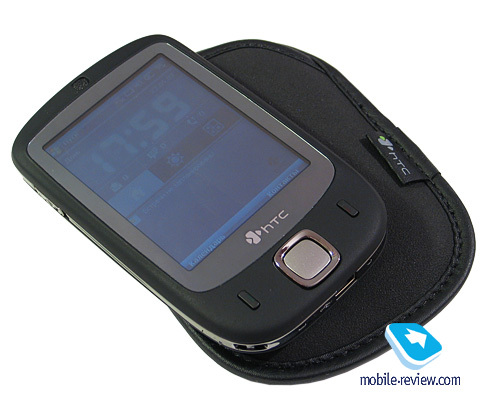 A hard-leather casing with belt clip would definitely be out of place here, as the device belongs to a different category. 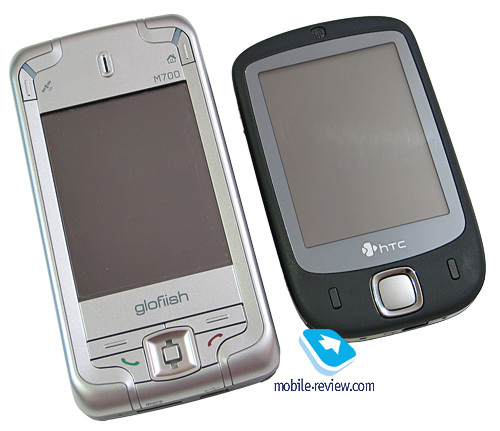 Instead we would rather compare it with pouches for Apple’s iPod, and if that’s the case, than its rightful place in the HTC Touch’s package is no longer in question. We covered the communicator’s design in most general terms in the first part of the review. Now let us look into the details. The device will be available for purchase in three color variants: black, white and gold-and-green. 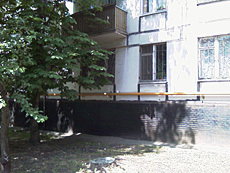 All thee trims will eventually arrive in Russian market but, traditionally, for Russia the black-painted models will predominate. The casings of white and green models are made of glossy plastic while the black one is clad in soft-touch finish. The black communicator is of some interest, as the color used in plastic there is not purely black but a bit diluted with silver dust. Owing to it the casing doesn’t look lackluster. The entire perimeter is rimmed by the stripe resembling chromed surface. Finger prints are quite inconspicuous on the casing. If anything, you can get rid of them by tossing the device either into a pocket or into the carrying case - you will need to rub casing down on purpose only on a rare occasion. But this advantage is nullified by the display, which is decidedly a fingerprint-magnet. So should you use fingers for device management purposes the screen will always end up smudged. Protective film applied or not – it doesn’t really matter. 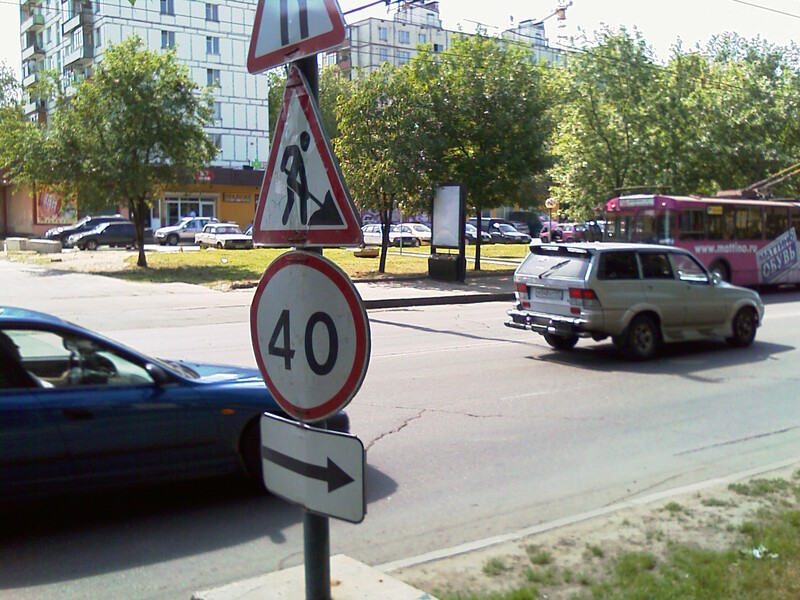 Basically, there are two way-outs. You could just carry with you a duster for rubbing the display down, or you also could learn to clean it off reasonably well on a sleeve or pants leg. It is obvious that for ethical reasons the latter way won’t suit just about everybody. Let us be honest - being soiled with finger prints the display doesn’t ruin the impression of the communicator’s looks. By the way blots and grease can be seen on the screen only at certain angles and in specific light conditions. The five-way navigation key placed on the front fascia is a cinch to use. It has soft but palpable travel and responds to presses with a barely audible click. 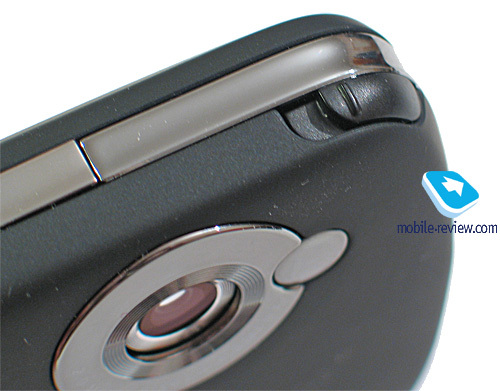 The button stands a few millimeters above the casing surface. It is easy to handle, but after a few days of interacting with the communicator, you will stop using it too often - in the majority of cases it is much more comfortable to tap the display to get where you want. The call receive/reject buttons are very small, and because of their petite size at first you always end up double-pressing them. 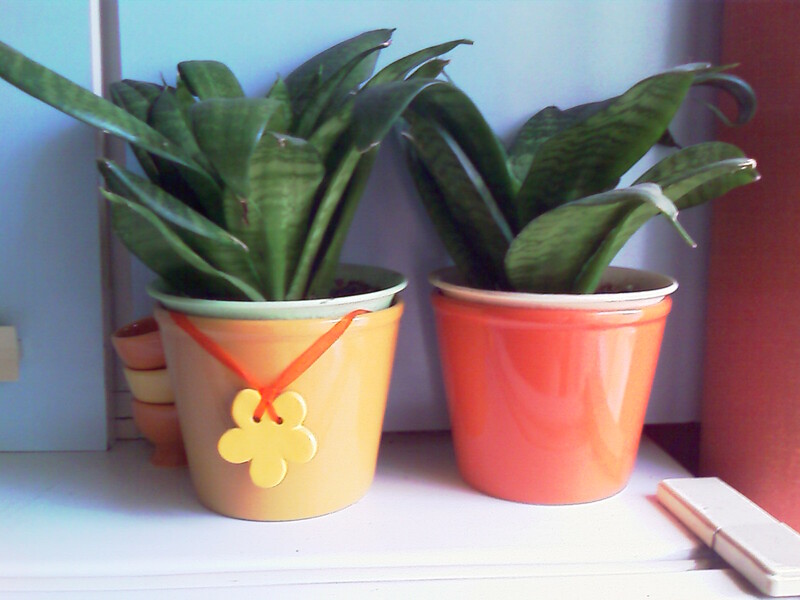 They move up and down stiffly, so you should put some effort into pushing them in. The left spine plays host to the volume slider-key. There is a small ridge in the centre of this key, which allows you to set up volume during the call without taking the device away from your ear. In some cases this ability will come in handy. 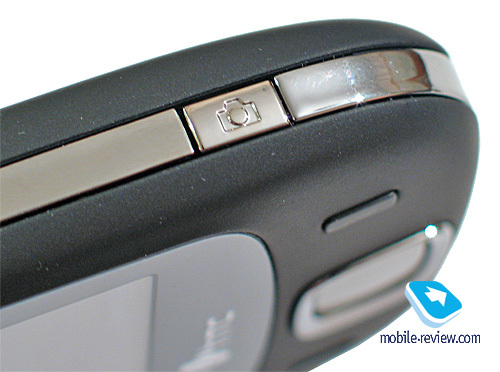 The right spine houses the dedicated camera key which sticks out no more than a millimeter from the casing. 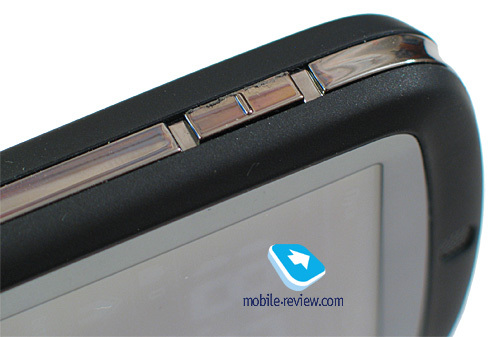 The second element placed on the spine is the stylus silo located in the upper right part of the device. 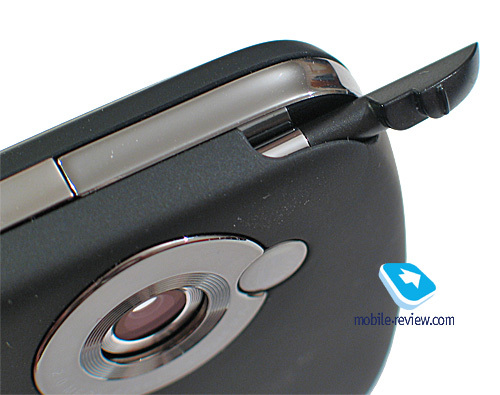 To take the stylus out you should just pull the ridge on the top up – this is a very comfortable way to do it as you don’t have to hook it with nails or other sharp things. The stylus holder is rather firm not absolutely reliable. You shouldn’t rule out the possibility of the silo becoming loose with time if you tend to use the stylus frequently. At the left on the upper edge is the shutdown/display power button. On the lower end you will find the ExtUSB socket which is used for plugging in accessories and charging. Next to it is the microphone and the soft reset button, sunk into the casing. The holes for a carrying strap are placed in the left-hand corner. 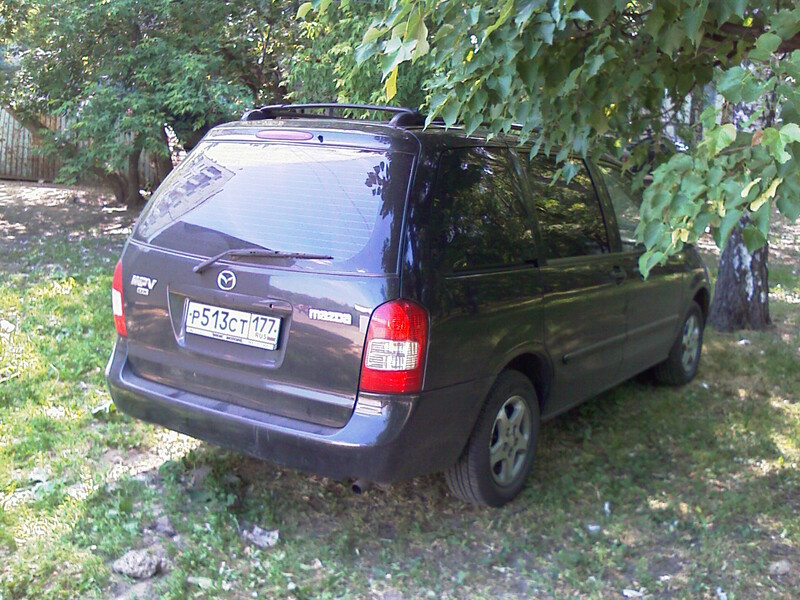 Now onto the rear, whose entire real estate is taken up by the battery cover. To take it off you should just pull the cover up. 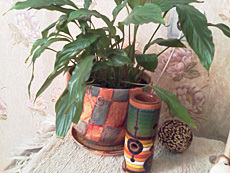 The fastening is firm, even after several months of use it is next to impossible for it to get loose. 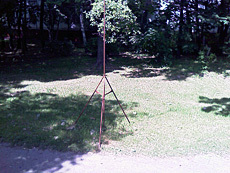 Some gap might appear only if you steadily sway it with both hands. 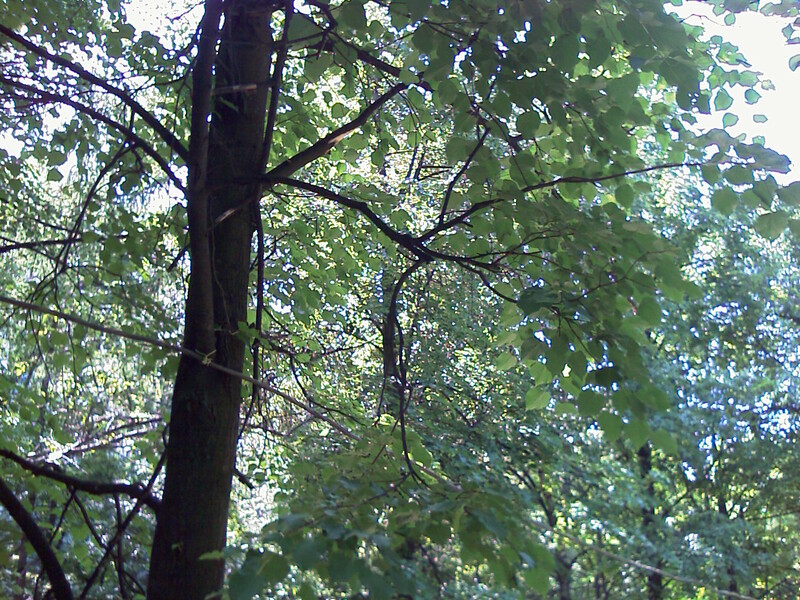 The top left part of the cover features the lens of 2 Mpix camera. 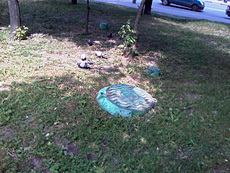 It is located in the small ring made of metal that reminds of chromed surface. 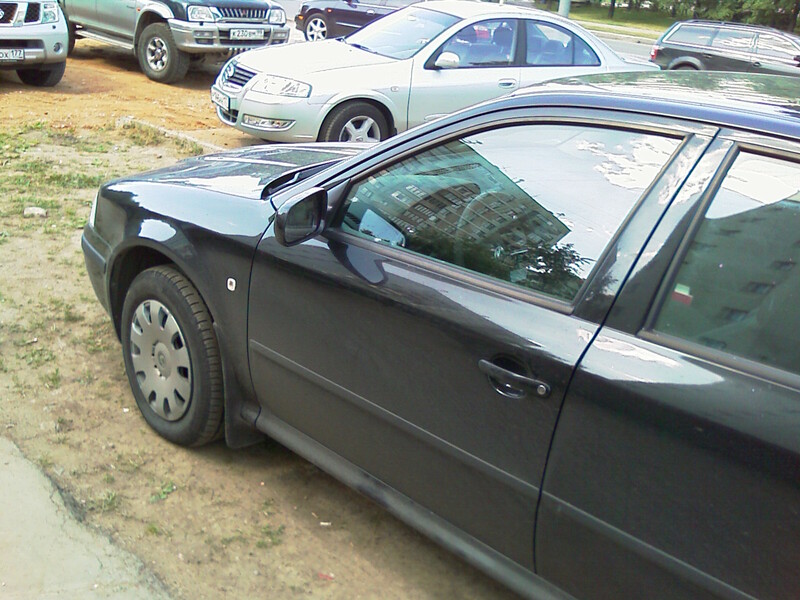 Above the camera is the mirror, opening which you can find the slot for an external antenna. 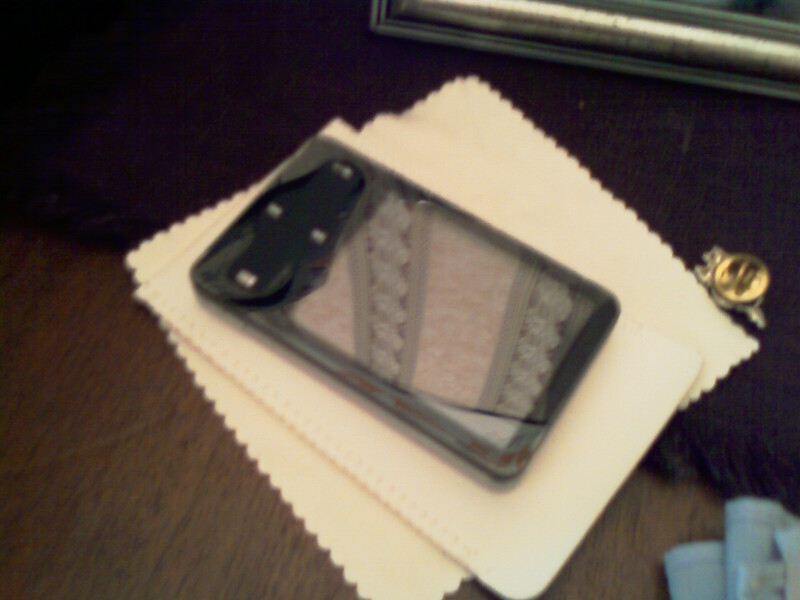 At that this mirror-flap doesn’t fall out, and keeps hanging on the casing thanks to a rubberized band. Such care for tiny design components leaves very warm impression. 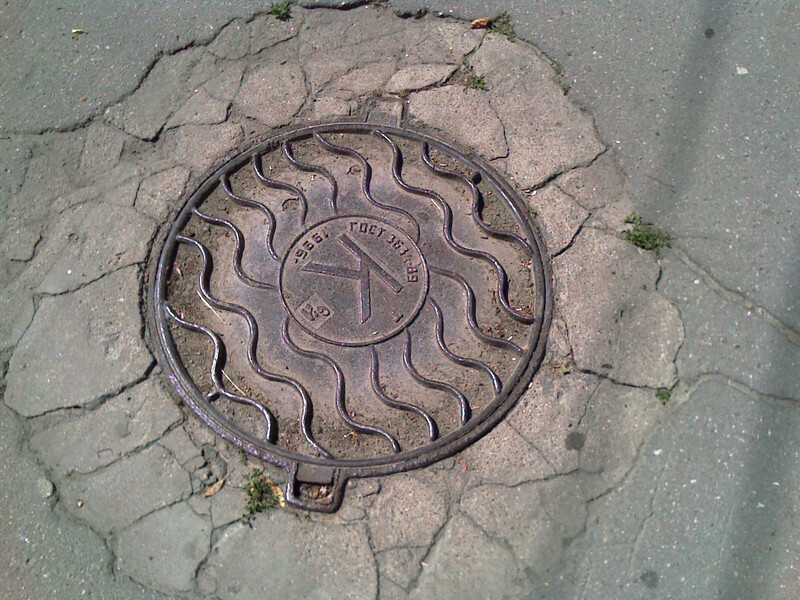 The right part of the rear is occupied by the speaker covered with black grill. Similar, yet smaller-sized speaker is placed on the front fascia above the display. It has two LEDs built in which indicate wireless modules and device status, as well as notify you of missed events. 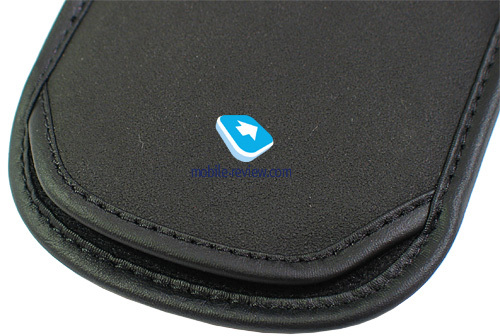 At the rear’s bottom you may find two small ridges, which allow the device get a more solid grip on sleek surfaces. At that the mirror will never touch the surface the communicator lies on and thus always remains undamaged. 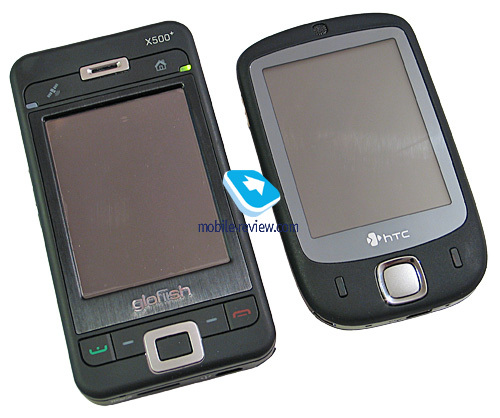 In this respect E-Ten and its offspring fall flat - the Glofiish X500 retains the same ridges on the back cover, but if you tend to put the device faceup on hard surfaces, the mirror will keep picking up micro-scratches. 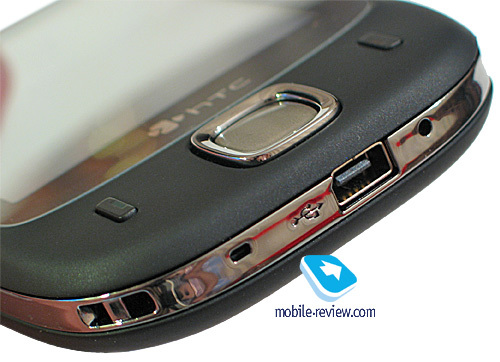 The way you install SIM-card and memory card into the communicator needs to be highlighted as well. 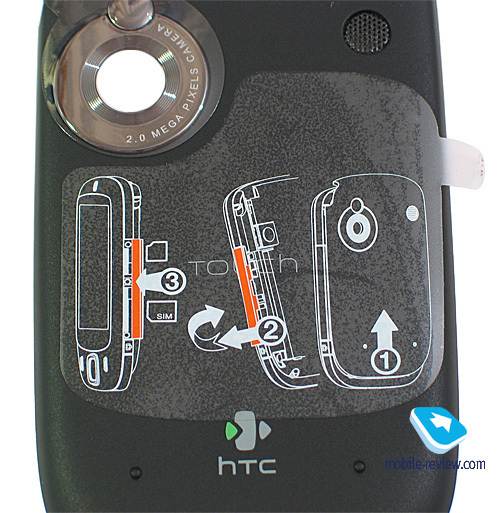 It is not a coincidence that HTC has put a sticker on the rear, explaining what is what – without it, you would’ve found yourself in big trouble figuring out how to get it in gear. 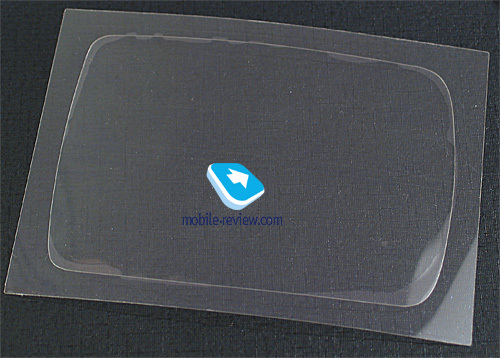 Similar sticker is found on the display- here it shows how to use the interface. For starters, you take the back cover off. The slots are mounted on the communicator’s left-hand side, if you put it facedown. In order to insert the cards you should hook and then pull out a part of the chromed plate on the spine, a bit above the dedicated camera key. Having done all this, you finally get to two sockets, then all you have to do is figure out what these tiny marks mean and insert all cards accordingly. Undoubtedly, it is a quite queer design. 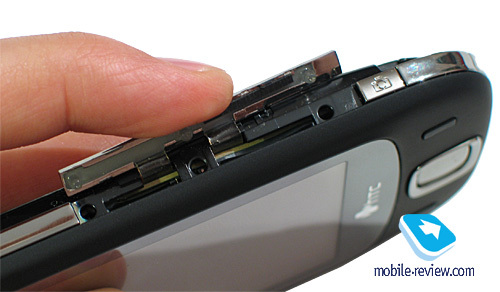 At that it is even amazing, that when swapping SIM-card or memory card, you don’t even have to turn the device off. 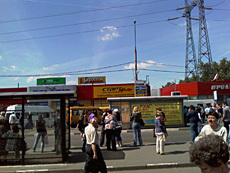 Nevertheless it is nowhere near “hot swap” as we know it – nobody can perform all these actions on the move, really. 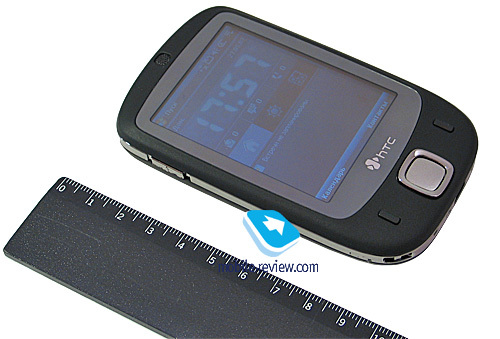 We offer you to look at a series of pictures where the HTC Touch is put face to face with other models, so as to provide some proof of the story about its petite dimensions. At a glance, there is absolutely nothing special about the display. Just like in most company’s other models, the HTC Touch utilizes a 320x240-pixel (QVGA) matrix and shows up to 65 K colors. Its color reproduction performance stands up to other offerings as well, the horizontal viewing angles reach maximum values, though tilting the device at an angle towards you, will instantly expose picture distortion. On a sunny day, pretty often you won’t find yourself content with the display – the four levels of brightness are not quite enough in this case. 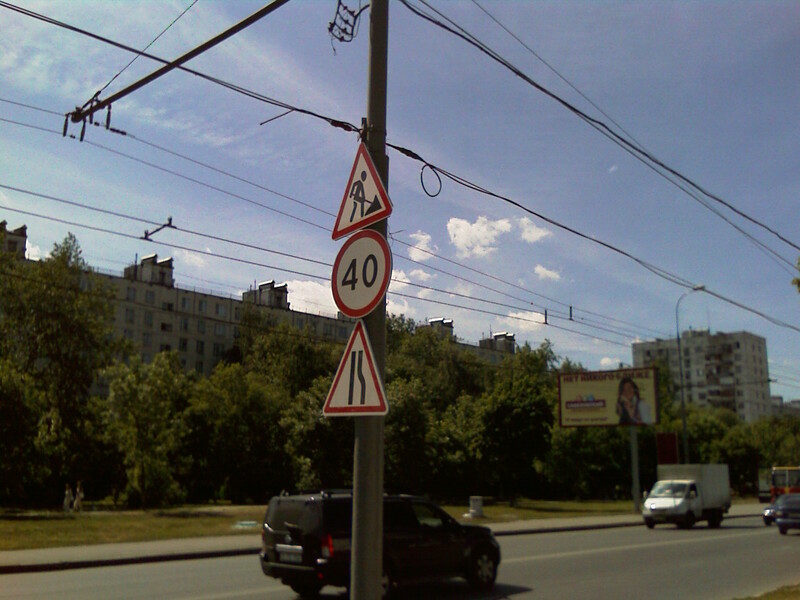 Occasionally to read information you will have to tilt the device here and there to get the right angle. But for the rest the matrix does fine. The minimum backlighting level proves to be comfortable for reading. On a close-up, though, a number of traits come to light, which are actually what makes for finger-based interface that doesn’t require styles. These changes are called “TouchFLO” technology. 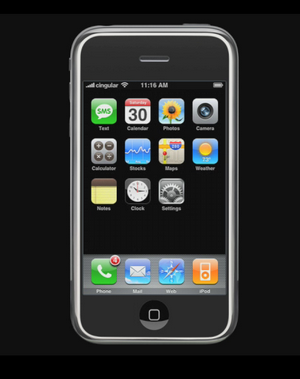 The first difference from displays found on other communicators – its location. 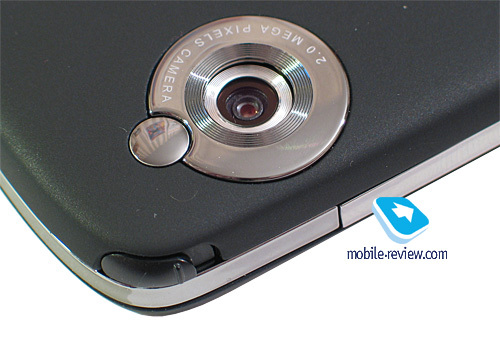 If you take a closer look at the photos in this review, you will surely notice that it doesn’t sink inwards, being flush mounted with the rest of the communicator’s body. This way, when managing the device with a finger you can tap any point on the screen, whereas in other communicators you run into so called “dead zones”, which are hard to reach with a finger. 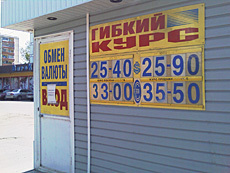 Examples abound – areas at the corners, so if the display is recessed into casing, you will have hard time hitting them. Another trait is more significant – the interface, more on which below, finally engages advanced abilities of touch-display, meaning that the screen’s drives reacts and processes not only single taps with finger or stylus, but slight touches as well. 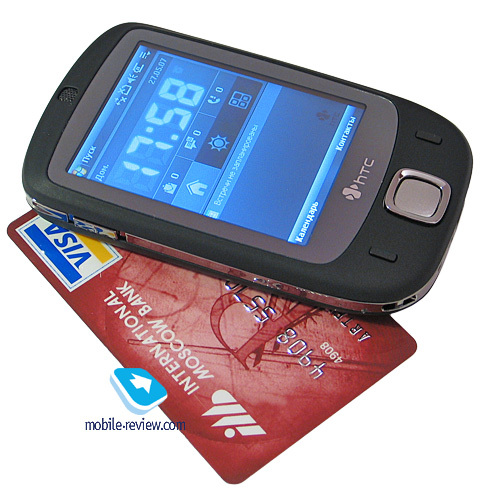 This doesn’t imply any alterations to the hardware department – this capability can be enabled in any WM-communicator, however the HTC Touch is the first device to actually make use of these, and moreover, it puts them into the limelight. Undoubtedly, the screen driver has been modified – responses to point presses are now less accurate, however for fingers the display takes into account greater error areas and deals with them. The screen’s overall sensitivity has also been reduced, therefore at first you won’t get rid of the feel of display’s sluggish response. On the other hand, it is a whole lot easier to master finger-based interface, rather than get into tapping the display with stylus. 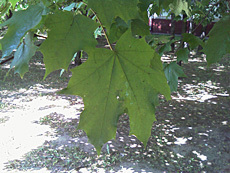 Certain applications become much handier and straightforward to manage and it’s not only about the trademark interface. Let us give you some examples. You open a web-page in browser and start viewing it. In any other communicator to scroll it you have to drag the scroll bar all the way up or down (we don’t count the HTC Advantage here with its non-standard control scheme). 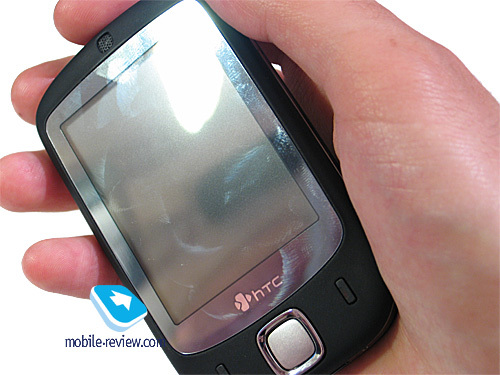 But with the HTC Touch, to start paging through all you have to do is slide your finger in any specific direction, meaning that to scroll down, your finger should skim over the display from the floor to the top. It is not just convenient – along the way you make an obvious action by covering the page’s contents when moving your finger down-up. Documents and spreadsheets can be paged through in the similar fashion, at that everything doesn’t end on vertical scrolling, “right” and “left” are also the options. All these methods of scrolling also work in the Phonebook. 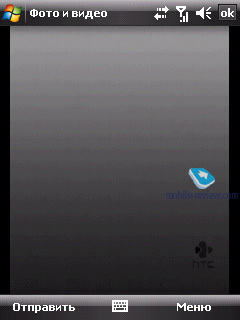 Now smoothly moving onto the interface itself, whose debut is what the HTC Touch’s advertisement and hype build upon. The idea behind the interface is very straightforward – bring about intuitive and handy finger-friendly device management system, allow the user perform basic actions without taking out the stylus, only by touching the display. 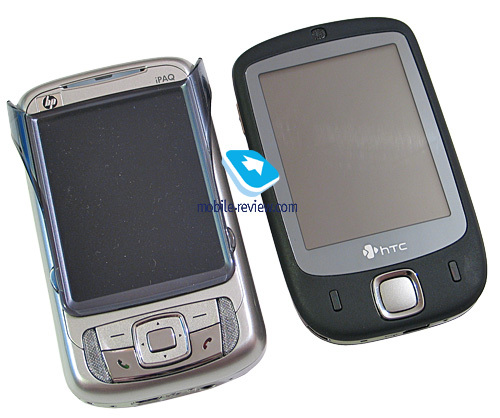 For this, apart from changing the screen’s specifications, HTC has developed a reinforced interface, which comprises two parts. 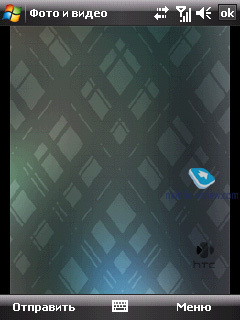 The first one is that good old Today screen, HTC Home. This component has been reworked with the display’s characteristics and new control scheme in mind, so now it is divided up into three areas, which you can browse by clicking on the tabs. 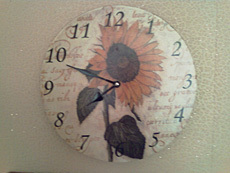 This way, the first tab houses huge digital clock, as well as the alarm clock icon (if any). Right beneath the clock are shortcuts to the messaging menu, SMS and MMS messages, and also the call log. On the third tab is application launch panel, where you can drag up to 9 programs onto. The thumbnails representing each app are big enough to make for quite finger-friendly experience of starting up applications from this menu. The central tab is occupied by weather forecast. When choosing this tab you already can see a huge icon showing current weather (sun, clouds, rain etc) and temperature. Tap on this panel and to jump onto 4-day forecast mode, including today. 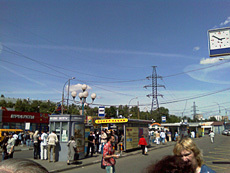 Though, the city list isn’t particularly long, all major Russian towns were on it. This tab also has a very odd feature to it – I won’t dare say this issue is here to stay, probably it will be dealt with in the forthcoming firmware updates. But the fact is, when jumping onto this weather tab, forecasts are uploaded from the Internet all over again, no matter what – even if you called at it a minute ago. We failed to find out any pattern here, though, since in some cases data is saved, in some – gets updated. Nevertheless, by and large, it is not really a problem, but rather a small omission in this part of the application. The main part of the interface is brought up by swiping your finger upwards from the bottom of the display, meaning that you should simply slide from any point at the screen’s floor up. Having done that, you will see the face of the cube you used last time. Switching between the sides is done via horizontal swipes. 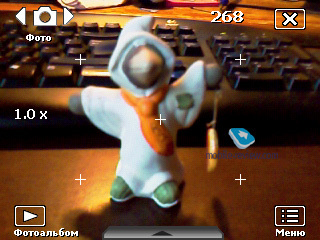 Similarly to the situation when you are starting it up, these gestures can be done in any part of the display. To shut down the interface you need to perform a move opposite to the one you launched it with, in other words, slide your finger downwards. Now onto the faces of the cube. The first face – application shortcuts, including e-mail, SMS/MMS, Internet Explorer, Tasks, Comm Manager, Calendar. It is important to realize that starting up these programs from the revamped interface won’t change their actual looks, meaning that bringing up the Calendar will bring nothing more than a standard Windows Mobile 6 application. The same holds true for the rest of applications. The new interface is kind of tool that makes for faster and more intuitive access to these applications. 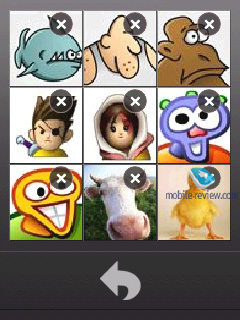 You can’t change the pool of programs available from this face of the cube. Although, we really want to hope that the following interface versions will have this ability. I suppose you will agree that having frequently used applications, like favorite browser, ICQ-client or a music player in such representation is much handier. The next side – access to multimedia applications, from this menu you normally start up “Audio-manager” and “Photo and Video”. The latter application starts up in two editions, for Photo the program goes to the folder containing your images, whereas for Video – into video clips. Audio-manager has already made several appearances in our previous reviews – it a music player totally identical to the stock Windows Media Player in terms of what it does. The difference here, though, is that HTC’s application comes integrated into the interface, so if you start music playback and bring up the advanced interface again, then when turning to the multimedia side, there will be current track info and music buttons beneath Music section. 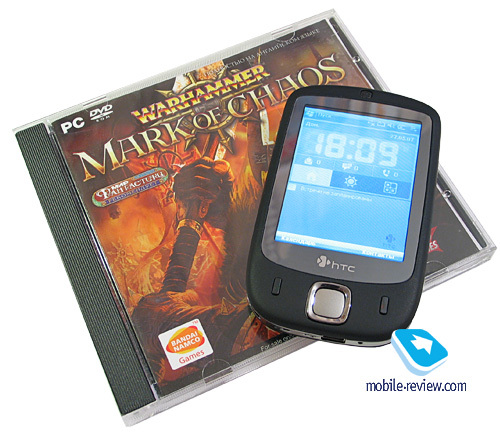 But apart from all that, this application packs a completely new ability as well – we wrote about it in the HTC S710 review, though back then it hadn’t been implemented. We mean the tools for basic track editing, like cutting fragments so as to set them as ring tones afterwards. Now this operation is performed really easily, even a newcomer won’t have any problems with doing that – you pick a track, specify the fragment you need (in seconds or on the progress bar). For example, you can select a 6-minute long song and get take 30 seconds out of it by cutting off 2 minutes from the beginning and 3,5 minutes before the end. Getting back to the interface faces – the last side available through it contains 9 contacts, displayed as thumbnails of images you can bind up with any entry in the phonebook. 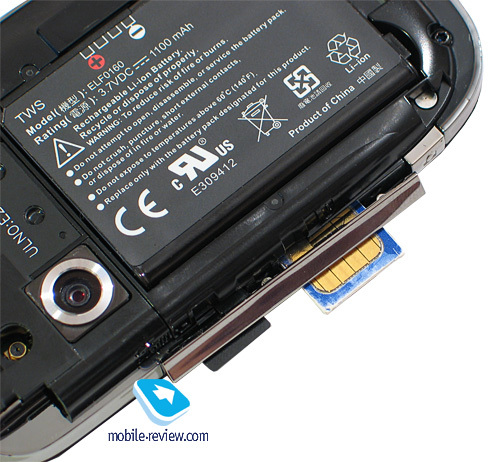 There is only one thing to keep in mind when dealing with this side – you can throw here only contacts located in the device’s memory, meaning that no entries stored on SIM-card are allowed. Deleting contacts from this panel couldn’t be easier – you need to push a special button any then touch the thumbnails you no longer want to see here. Upon tapping the thumbnail you jump into the contact’s menu, where you decide what to do – dial it, send mail or text message, etc. The communicator comes with a 1100 mAh Li-Ion battery, which is not that much, but in view of what platform the Touch employs and its 200 MHz CPU, technically this should keep it up and running for quite long. 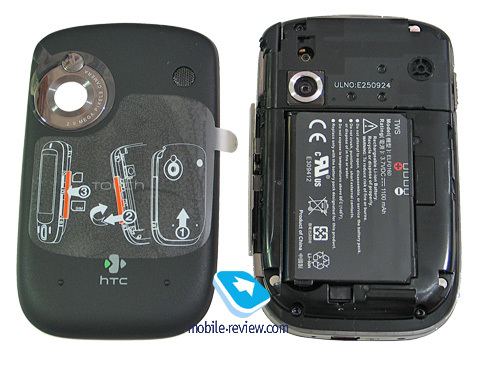 Also, don’t rule out the fact that HTC has been seriously addressing power consumption issues in its latest and greatest, that’s why we can say that the HTC Touch uses up its battery to the full. 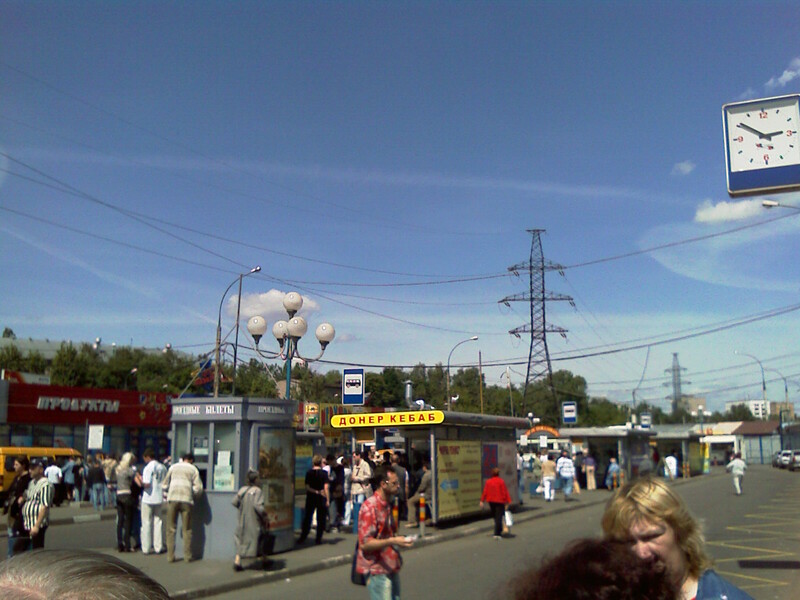 In conditions of Moscow networks at 20-30 minutes of calls, 10-15 SMS, up to 30 minutes of internet surfing, the communicator lasted for about 2 days, which is average or slightly above average performance. 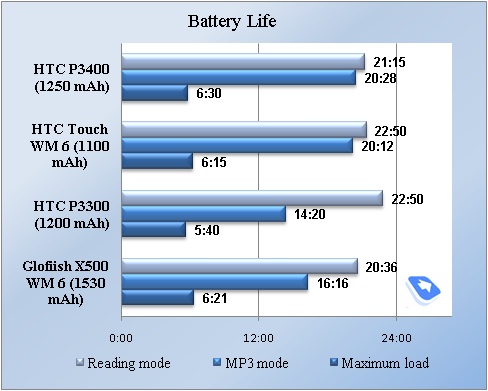 Below are the results of our standard battery life tests. Reading mode – the least power-hungry mode of all. Display backlighting level is set to the minimum that makes for comfortable reading, then we launch Haali Reader and activate auto-scrolling. 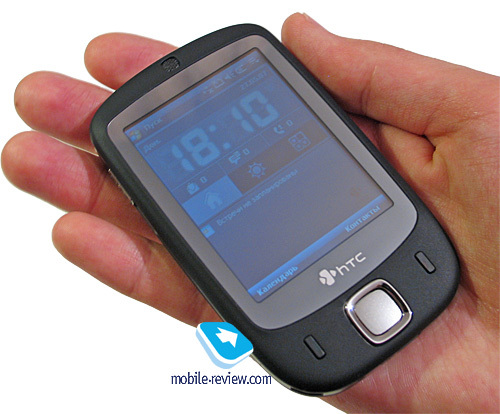 The HTC Touch put up a tad more than 21 hours, for a device armed with a 1100 mAh cell it is pretty decent performance. 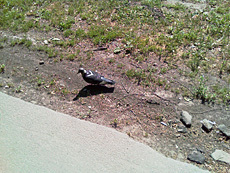 MP3 mode – self-explanatory test. 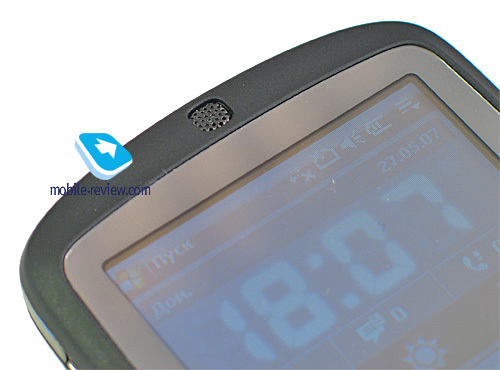 Display backlighting gets switched off (via standard tools or with the help of SPB Pocket Plus), volume level is set to the medium level, and then we link up the communicator with headphones and playback MP3-files with 128 Kbit/s bitrate via MortPlayer. 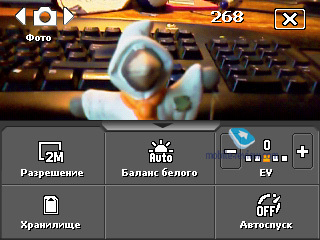 The figures we got here were identical to Reading mode, 20 hours with disabled display. Maximum load – Display brightness is set to maximum, thereupon with start up TCPMP player and initiate playback of 320x240 pixel movies. The result of 6 hours is above average, which is pretty good. Six hours is pretty much common result for HTC’s latest offerings. 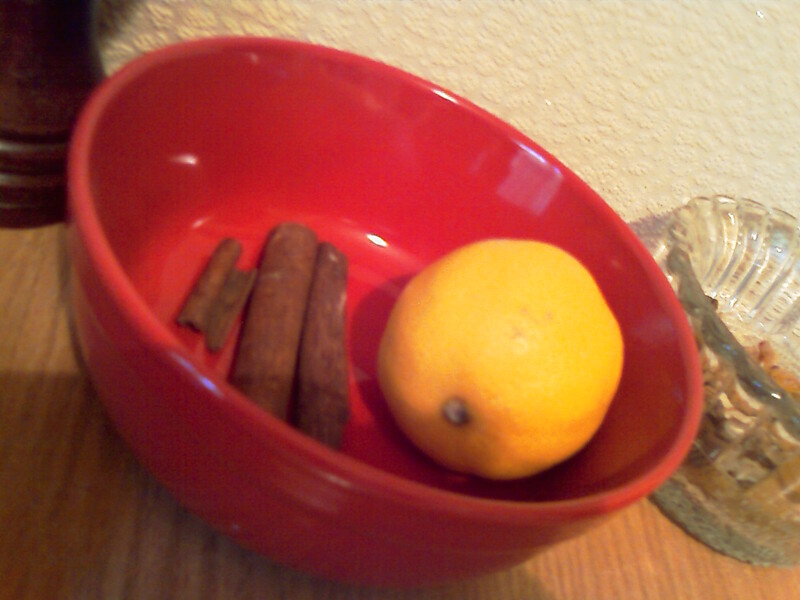 This time will be enough for watching two full-size movies, which is great. 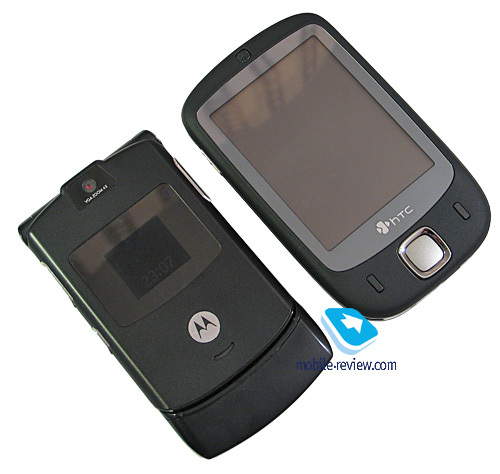 The communicator is powered by 201 MHz TI`s OMAP 850 CPU. 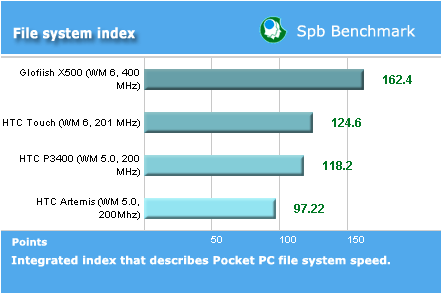 Out of the 64 Mb of RAM the device possesses, 47.90 Mb is user-manageable. This volume is sufficient for the majority of tasks. 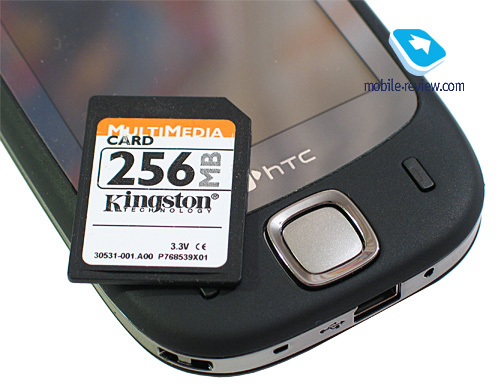 The size of the available flash-memory (Storage) makes up 32.46 Mb, which is a tiny share of the 128 Mb found onboard. Such subtle flash storage space is due to the revamped interface that requires a lot of memory. However even 30 Mb is okay for downloading and installing the most essential and relevant apps, in other cases you’d better throw an app on the memory card – the 1 Gb unit the communicator comes boxed with will easily qualify for these purposes. 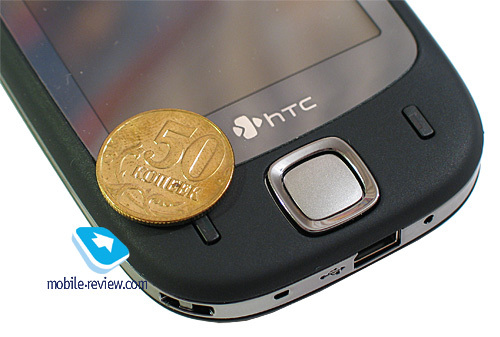 We shall also note that the HTC Touch has SD 2.0 MicroSD slot, more known as the SDHC, meaning that the device will support all newly released and those still on-the-horizon high-capacity (2-32 Gb) memory cards. 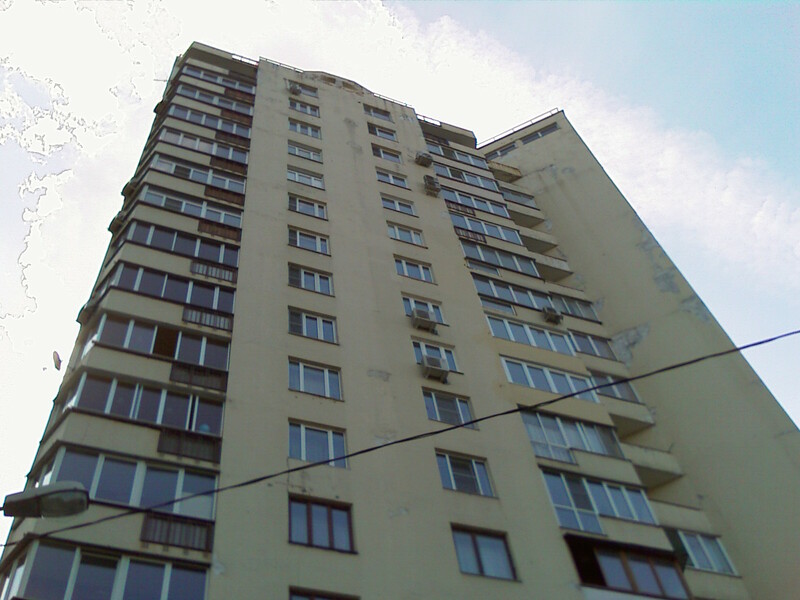 We carried out the traditional SPB Benchmark test. Since it doesn’t give an objective picture of WM 5.0 and WM 6.0 based devices performance, we have taken only a few types of data out of it. 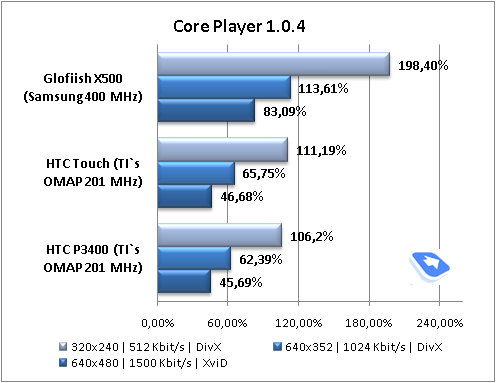 In terms of CPU performance the HTC Touch does just like we have come to expect from it, although the noticeable difference between the Touch and the P3400 might look like something to worry about, however the Core Player test puts everything into place. 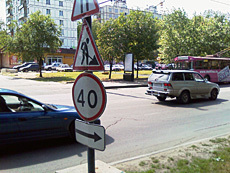 A 100% performance indicates that video in given resolution will be played back on the communicator without any discernable slow-downs, frames might drop out only in dynamic scenes. The rate higher than 120-130% means that the communicator’s power will be enough for perfect playback (no freezes or dropped frames) of video in given resolution and quality. Here the Touch performs on a par with the P4300 – they share the platform (OMAP 850) in common, and this does make all the difference. Generally speaking the device works without hang-ups, however it is nowhere near speedy. As for the interface speed, we can only upset all sceptics predicting its ”unbearable sluggishness” given such slow CPU. If here are no additional applications running, the interface kicks in instantly and remains very responsive throughout use time. Should you launch about a dozen of basic applications (10-12 apps, no mistake here), for example, Internet Explorer, music player, calendar, phonebook, etc., the interface will start lagging all the way, but even in this case switching between different faces of the cube takes a mere second, which isn’t long or unbearable. 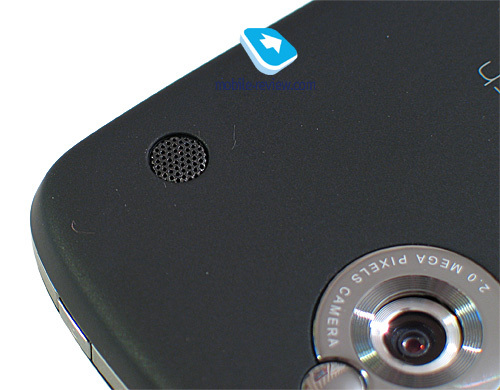 The communicator houses a 2 Mpix CMOS camera lacking auto focus and macro mode. 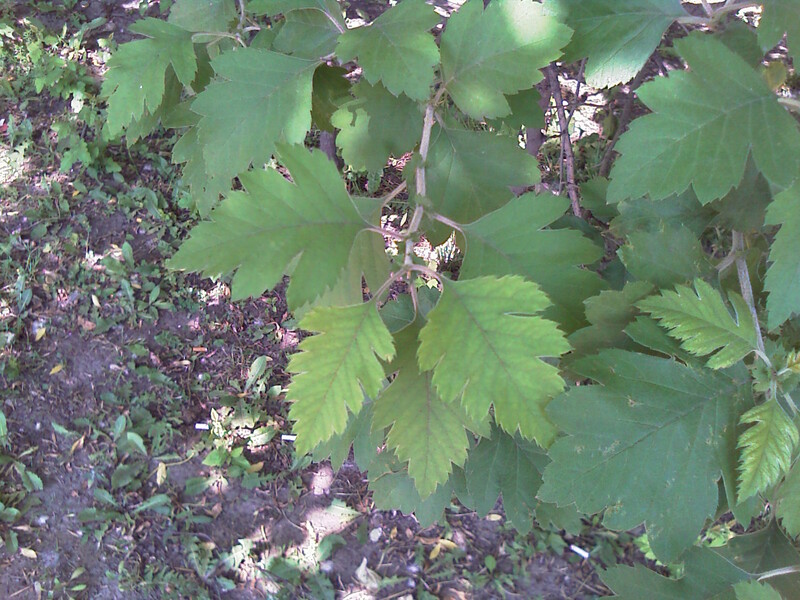 The practice of equipping WM-powered offerings with mediocre camera modules (the only exception - HTC X7500) is dying off now, yet too slow. 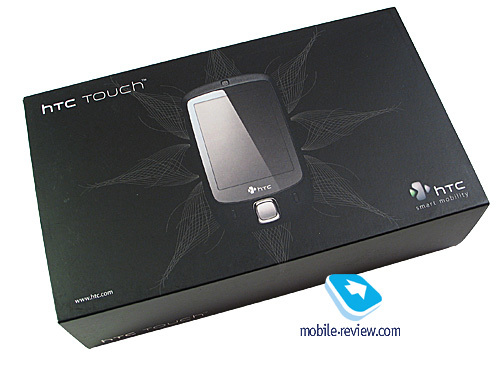 The HTC Touch, judging by the unit we have got our hands on, doesn’t come from the new wave, as it offers sub-standard shots quality – the issue we complained about in the first installment of the review has remained unchanged. Most snaps are substantially blurred at corners, meaning that you get crisp image only in the centre, while the rest seems to be fuzzy. 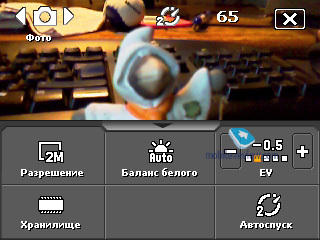 In the viewfinder mode, now there is a special menu that allows altering most essential parameters on the go. 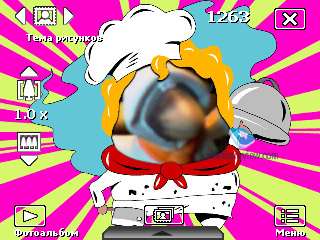 This menu can be called up with a finger tap and terminated in the same manner. 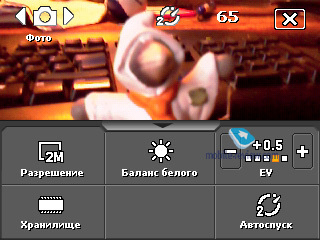 In all other aspects the interface is standard HTC fare: semitransparent menu laid on the viewfinder mode of the display. Generally speaking, it is quite comfortable but switching between menu items could be simpler. Values of Contrast, Saturation, Hue, Sharpness, Contrast can be altered as well (adjusted automatically by default). Advanced settings include self-timer, time stamp, shutter sound and some more. 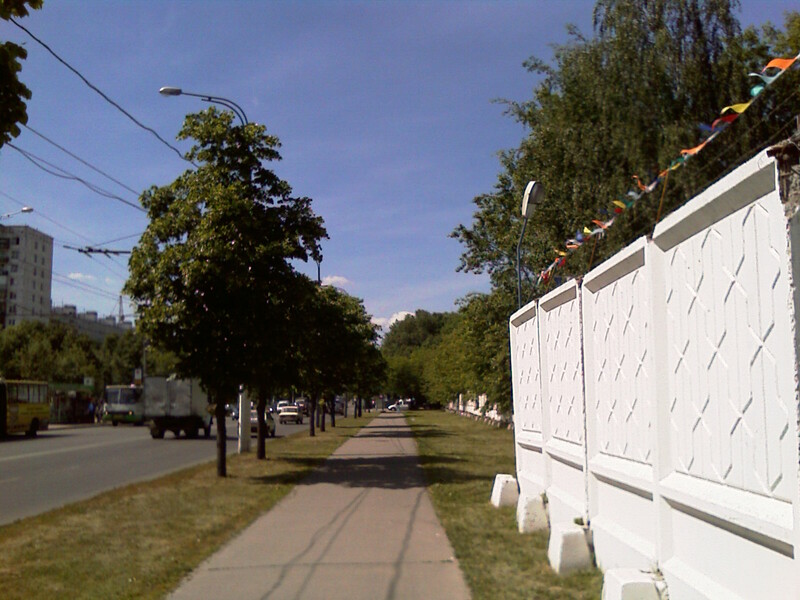 Video is recorded in MPEG4, MotionJPEG, H.263 at Medium (176x144) or Small (128x96) resolution. 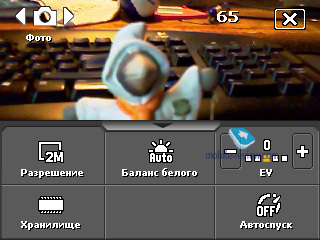 All in all the settings for video copy those of still images, the differences include: sound recording (on/off), adjustable clip’s length and size limits. 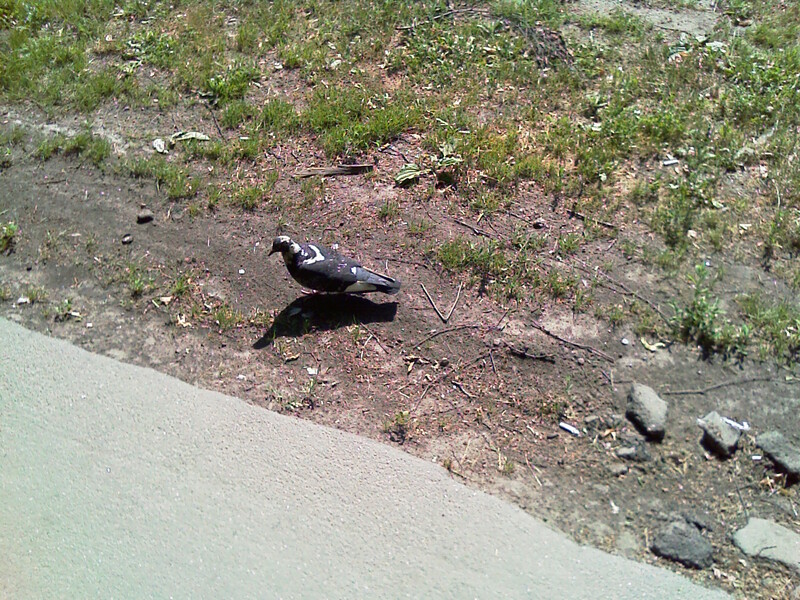 Quality, as well as resolution, of the video clips captured with the Touch is quite mediocre. Apart from photo and video modes the Touch’s camera has some more to offer – video for MMS, still image for a contact, sport, framed image. 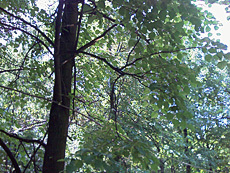 As for this “sport mode” – it’s a sequence of shots (up to 5) taken in rapid succession. The communicator is positioned as a music-minded solution as well, which is implied by the icon on the box, mentioned above. Also, the device comes with a brand-new headset in the box. The looks of the headphones has been totally revamped, so they do seem different from the previous models. The headset has got to look more luxurious and has more of a “quality thing” feel to it, rather than “cheapie”. 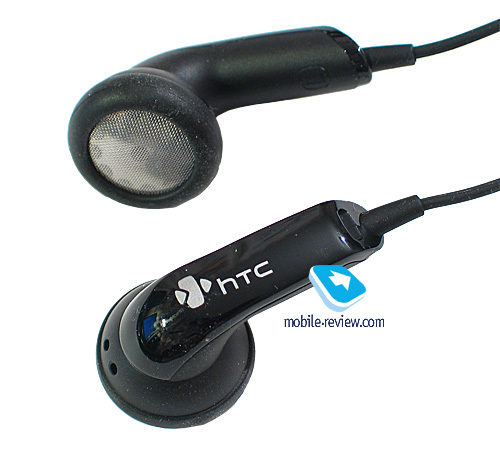 The headphones have rubberized rim that proves more comfortable fit in your ears. 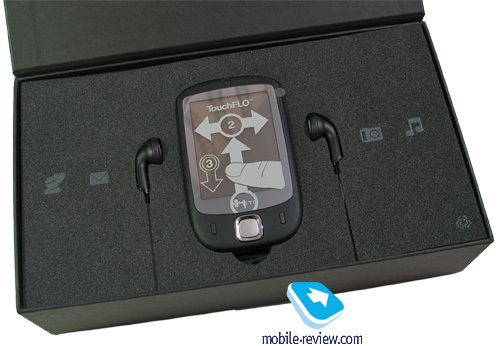 The module with mechanical volume control (wheel), call answer key and microphone is modeled after the earphones themselves and the communicator in general. 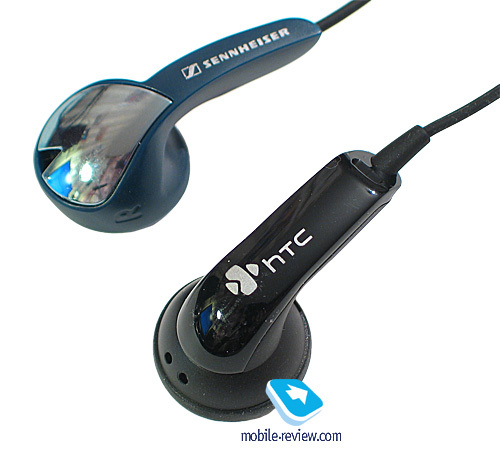 The headset utilizes black glossy plastic and a tiny clip that freely moves along the cord. 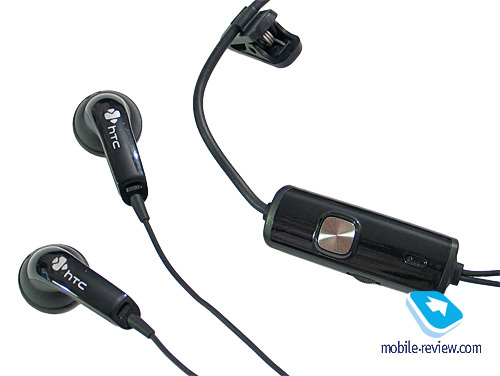 The whole gadget is topped by HTC’s trademark ExtUSB connector, which automatically sends you off to a shop for an adapter if you want to use custom headphones. 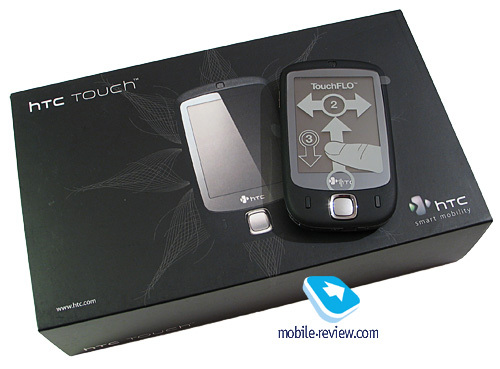 While pretty much on the same level with the previous models, the audio quality of the Touch has undergone some positive changes – it sounds smooth and even, but still so 2D. 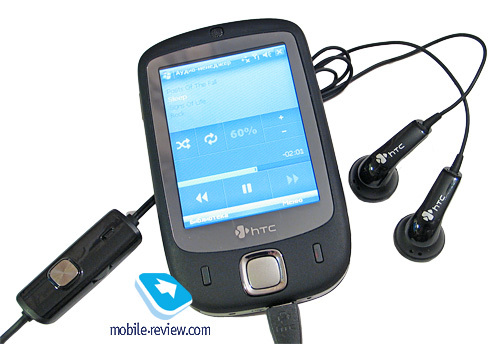 The HTC Touch will do just as well as a basic player if your music sessions take place only in transport or just don’t care for sonic experience much. 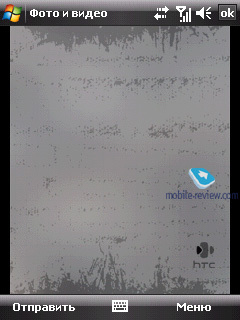 A gratifying feature – HTC have finally tacked on the ability for switching the display off for real when playing back music. 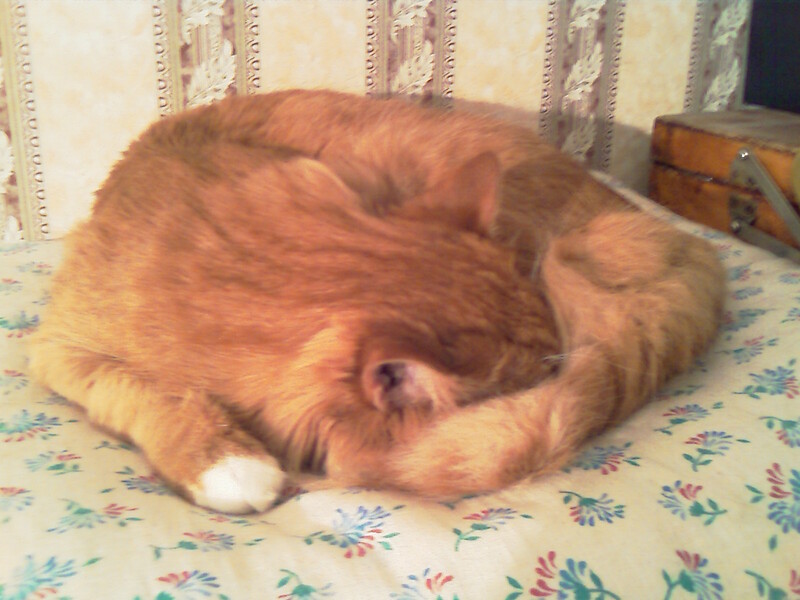 Thus from that point on, there is no need in a third-party application for this. The speaker is something we should talk about separately – it is exceedingly loud and quite potent as well. Even at full blast, it was next to impossible to make it crackle, unless it was a “heavy” track. On the upside, it will be quite a task to miss a call having the alert volume bar at the top setting. 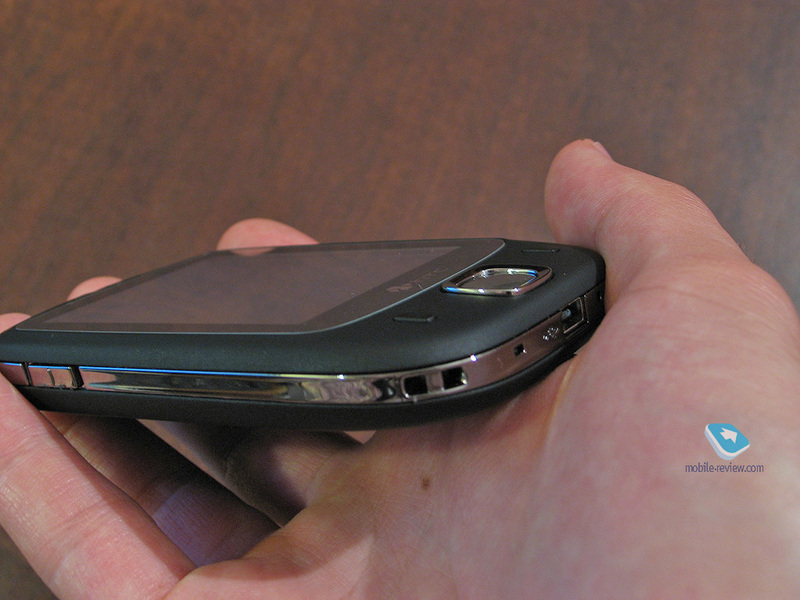 The cellular module found on the Touch sports GSM (GSM 900/1800/1900) and EDGE connectivity onboard. The HTC Touch is the company’s first device to ship to Russia with utility for setting up MMS/Internet. “Network wizard” on first launch will offer you to pick country, your carrier, and after this will set up the rest option automatically. During our quality time with the device, we couldn’t find a reason to fault it for something. It is important to realize that it sets up GPRS-Internet data transfer, rather than WAP, like many other wizards do. 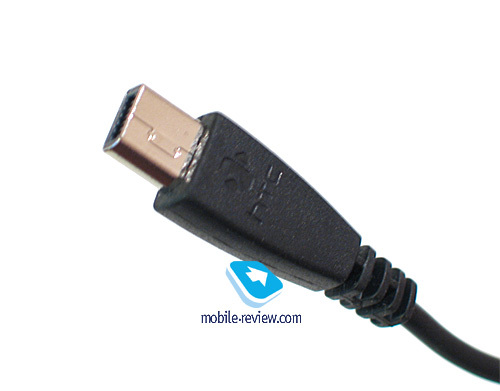 The sole interface socket for HTC’s devices is standard – ExtUSB, which serves for charging purposes, as well as USB connectivity and headset connection. The socket itself has already been spoken of in our reviews numerous times. 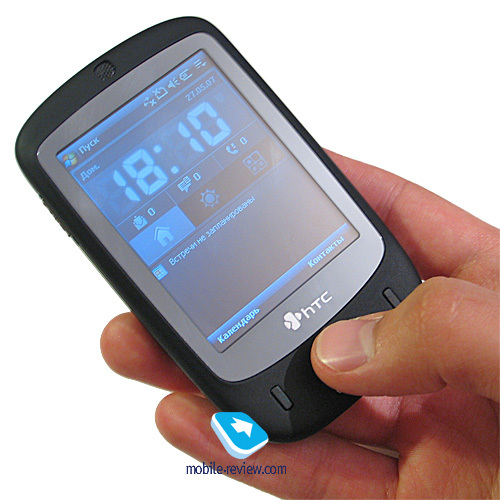 For management of wireless interfaces you can use either the default OS tools or HTC’s own utility - CommManager. 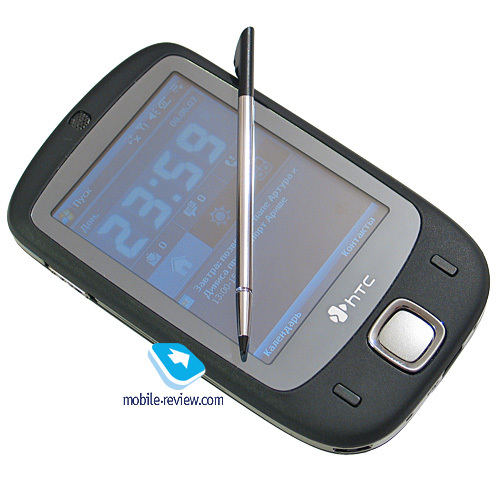 The HTC Touch sports different design of the utility, which now matches the revamped interface. If you ask me, it looks great. Bluetooth 2.0 without support for EDR, number of profiles. The Bluetooth module is managed by standard Microsoft’s drivers. Let us see what BT here can do and for what purpose. Serial Port Profile (SPP). Emulates COM-connection of devices. Used mainly for synchronization with desktop PC, coupling external Bluetooth-gadgets, like Bluetooth GPS-receiver. Object Push Profile (OPP). A basic profile for sending "objects" such as pictures, virtual business cards, or appointment details. File Transfer Profile (FTP). Provides access to the file system on another device. This includes support for getting folder listings, changing to different folders, getting files, putting files and deleting files. For the first time this profile is implemented on HTC devices basing off Microsoft’s stack. Hands-Free Profile (HFP). Connection of Bluetooth-headset and handsfree device. Human Interface Device Profile (HID). Connection of Bluetooth-keyboard. Advanced Audio Distribution Profile (A2DP). Sound transfer via Bluetooth. 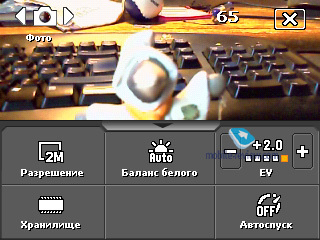 Audio Video Remote Control Profile (AVRCP). Music playback management via wireless headset. Personal Area Network Profile (PAN). 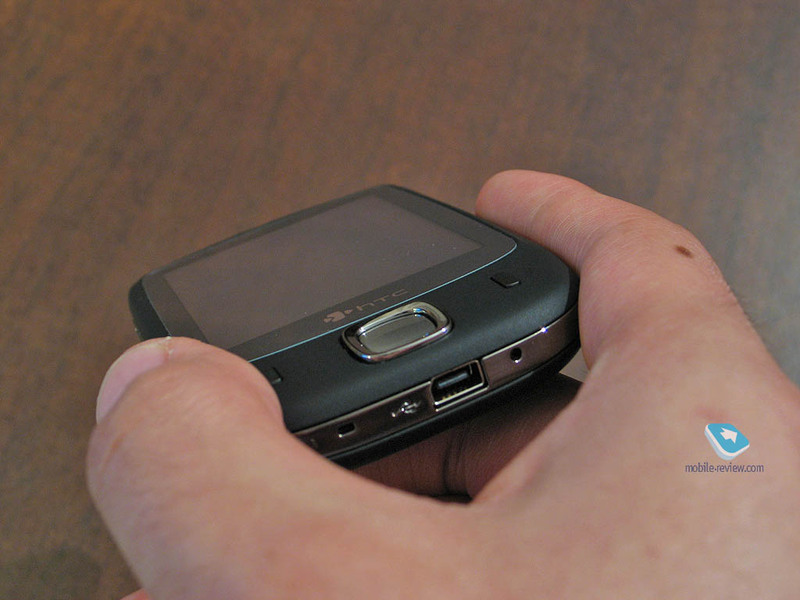 Network connection via Bluetooth, use for connection of a desktop PC to Internet through the communicator, replaces Dual-Up Networking profile. SIM Access Profile (SAP). Allows connecting to a SIM card in a phone with Bluetooth, so the car phone itself doesn't require a separate SIM card. 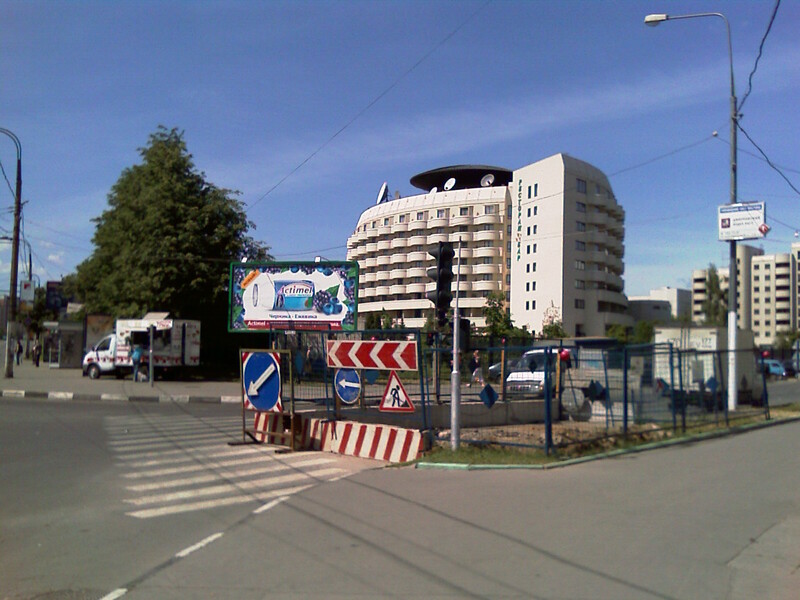 Wi-Fi версии 802.11b/g. 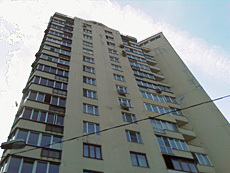 This interface does well on the Touch – within our apartments we experienced no connection break-ups. We tested out Wi-Fi in a very straightforward way – made a couple of calls over Skype – and run into no difficulties no matter where we were (at home or in a cafe with hotspot). 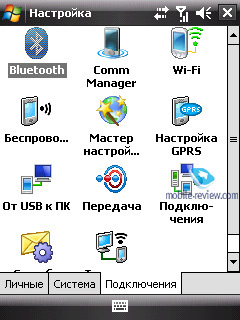 The communicator runs on Windows Mobile 6 Professional. An in-depth review on Windows Mobile 6.0 can be found in a dedicated article on our portal, so that we are free to dwell on pre-installed applications instead. 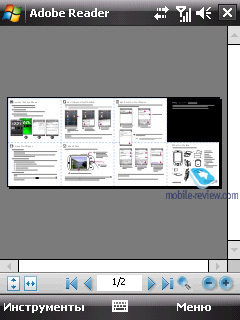 Adobe Reader LE – is the most widespread program for viewing PDF documents, and this is its mobile edition. 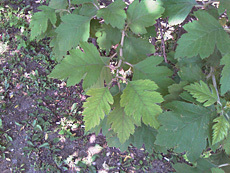 Much like its elder brother, the applications never seems to be in a hurry. Loading a page takes about 10-15 seconds, should the document contain a considerable number of schemes and pictures each page will load for half a minute or even longer. 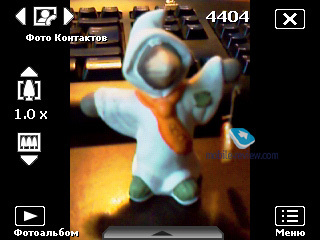 It should be noted that for small files, the viewing capabilities, this application provides, are more than sufficient. Java – emulator for applications written on Java. 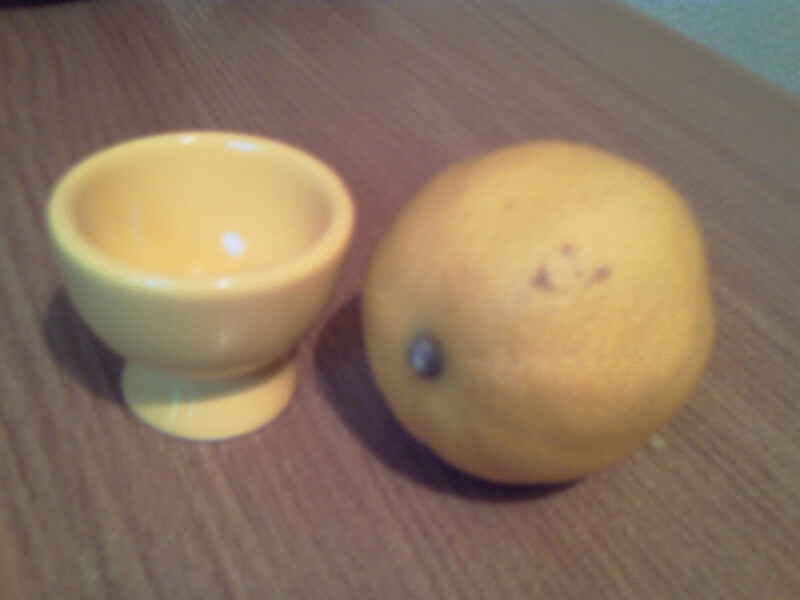 Its capabilities are very limited; in light of this fact 3D Java is not supported. 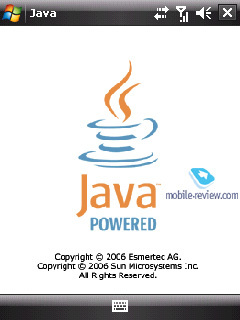 In most cases support for Java-powered applications is not relevant on smartphones and communicators, today there are a tons of programs for Windows Mobile. 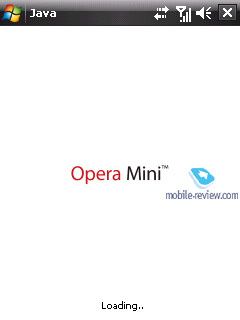 Some users make an exception for OperaMini as this app is simply the winner in save-my-traffic contest. 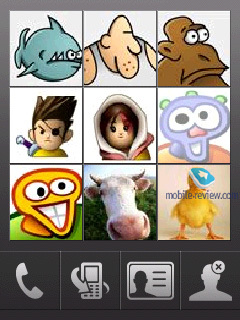 Another example - for Java-games addicts that need such emulator badly. 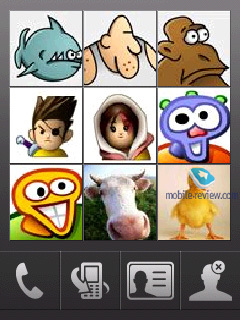 However the regular emulator does not support additional libraries used for creation of Java applications for Nokia-, Motorola-branded and some other handsets. Hence nobody guarantees that these applications will launch and operate properly. Audio Manager – application similar to the standard Media Player. In terms of the abilities this app doesn’t differ from the built in player, saving for the interface. Its extra abilities were covered above. Zip. HTC’s very own utility for handling archived files – you can either extract data from an archive, or add new to an already existing compressed file, as well as precisely adjust parameters of compressions. Streaming Media – used for playing streaming video and audio. In the Address field you specify the source and then the communicator starts uploading and playing back the content. In settings you will also be able to adjust Internet connection speed and buffer size. 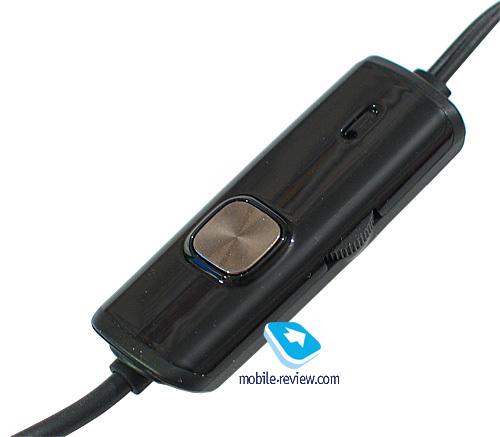 Voice recorder – the most basic application for recording voice clips; doubles as a player for playing back the recording you made, all sound clips can be set as call alert on-the-go. Task manager – with this utility Windows Mobile’s cross can now actually terminate applications, rather than minimize them. Also, this program enables you to browse the list of currently running applications and memory volume that each of them takes up. While at Today screen you will always find at in the top right corner – by tapping the icon you open a pop-up menu, which can close one or all applications. It is really good to know that this application has morphed into a do-it-all program, which is very useful. “Photo and Video” application will present you with a bunch (five to be precise) of beautiful images designed in HTC’s style that can be set up as wallpapers on Today screen. 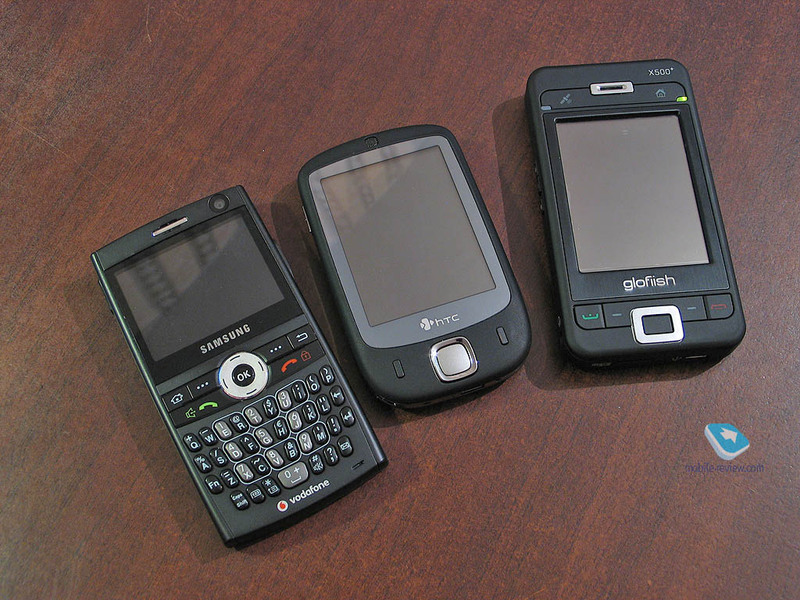 Since they are by no means flamboyant, most users will have nothing against having one at their screens. But what’s really great about them, is that we haven’t seen any new pictures added to Microsoft’s OS default roster for years (WM 5.0 and WM 6.0 feature one and the same pool with 5 images. 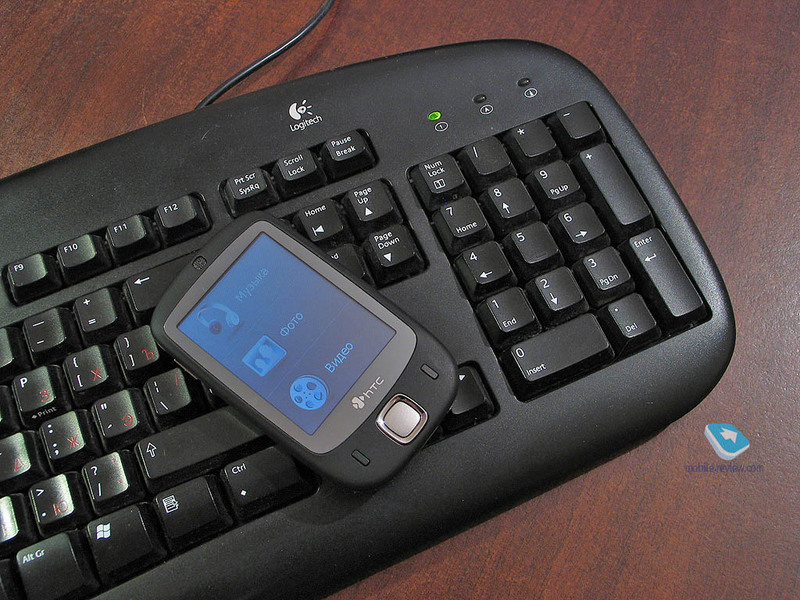 The handset utilizes not the default on-screen keyboard that most WM users have come to grips with, but one of its modifications. To be more precise, you can also switch back to the familiar variation, but on first start you will have to deal with the modified edition. All newbies might run into some difficulties, for example, with locating Space in English layout – so happens, that in this version, where all keys have considerably gained in size, Space has been simply dropped out. It might sound strange, the standard keyboard’s feature, available even with the previous system versions, comes to the rescue. By this we mean gestures, i.e. to put a space in, just swipe the stylus rightwards in any point on the keypad, for symbol deletion – slide it leftwards. Though texting with fingers alone is quite awkward, especially if you use finger pads for that. But women with long nails will be right at home here, even without stylus. The device starts shipping late in June for 655 USD. The Touch clad in black will be more widely spread, while the white and green editions will be produced in smaller volumes. Again, we accent your attention on the fact that despite the grand advertising campaign, HTC is not setting off to make it vastly popular. 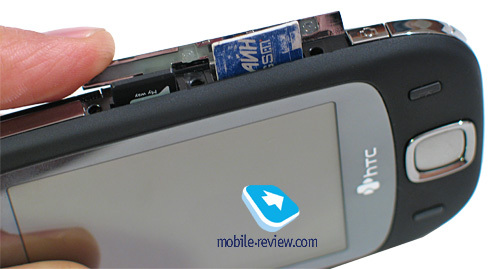 Although even now, judging by some sources, the HTC Touch has really got the distributors interested and many markets will not experience shortage of it for sure. For HTC it is the proving ground, where it gives new technologies a go, watches how all its new ideas and positioning models work. And being a company which spent most of the time making ODM products and swimming in the waters of the enterprise market, this approach is more than legitimate. Sluggishness in getting into new segments is nothing to be ashamed of. 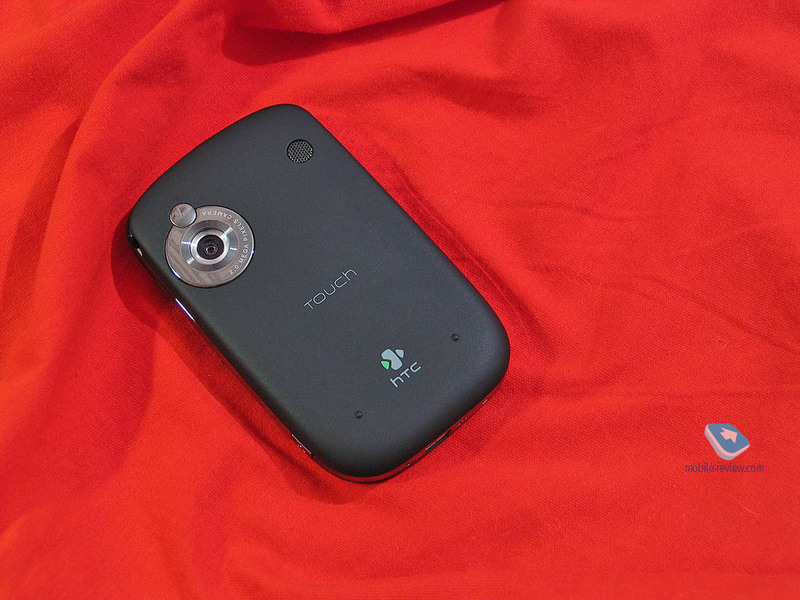 If the announced price settles on the price tags, this model will not be highly demanded, after all HTC brand has neither reputed nor time-proven feel to it in the segment the HTC Touch targets. But when it falls down to 450-550 USD, the model might become appealing to a very broad audience, extending WM’s presence on the market. 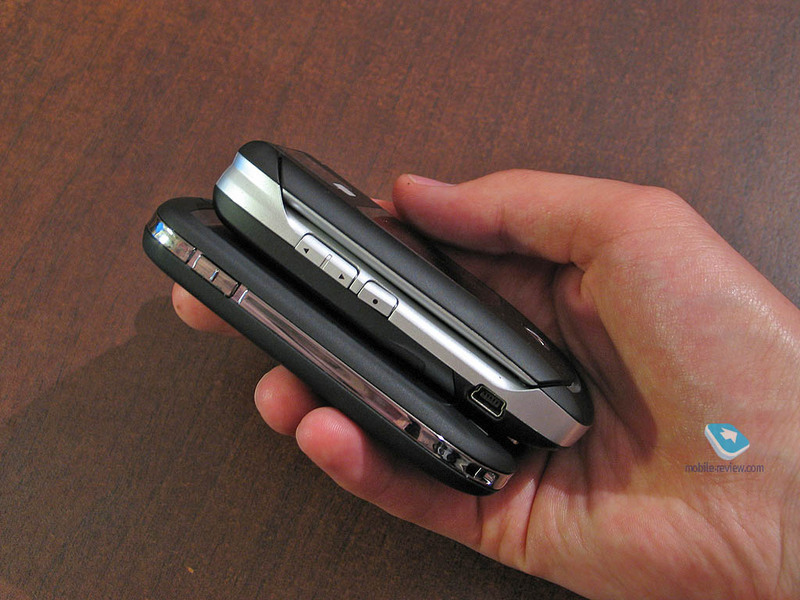 The device does well on the reception front, standing up to the competition. 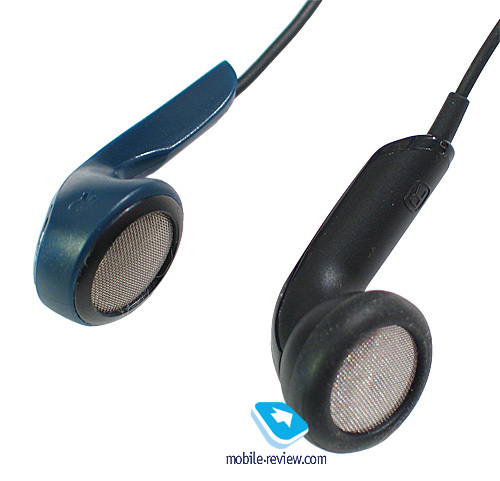 Both the earpiece and the loudspeaker produce more than sufficient volume, which is decidedly a great thing, since even in call-unfriendly environments you will be able to adjust the volume bar to the level when both ends are satisfied with call quality. 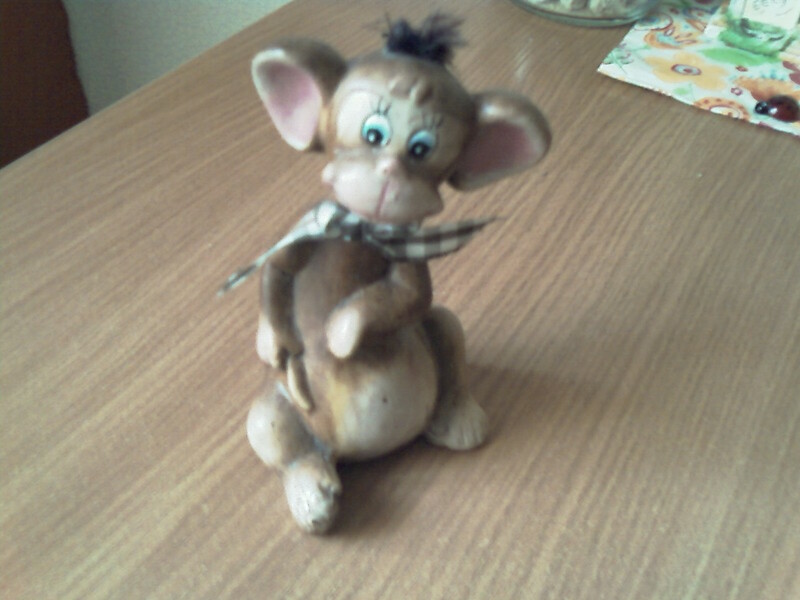 All up, this model has quite odd design, which will appeal to some outright, though will put the rest off. 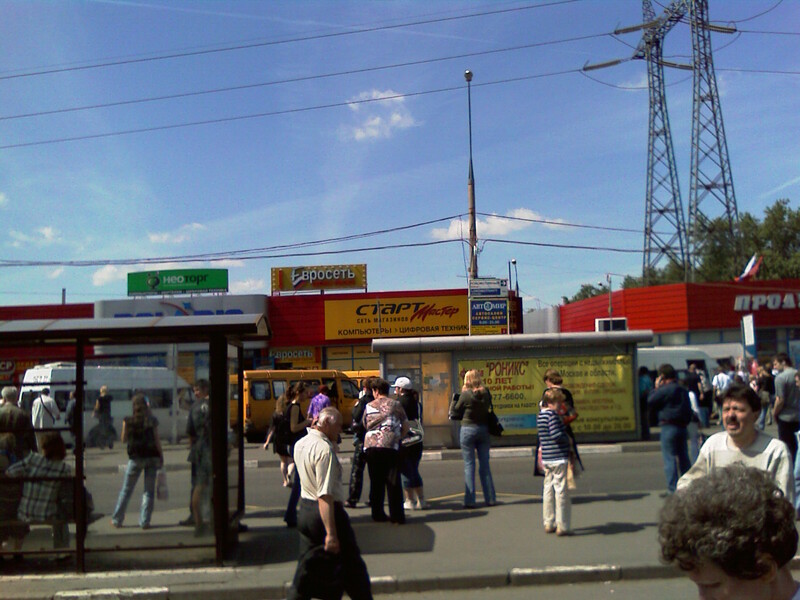 The device targets neither men nor women in particular, being a typical unisex offering. 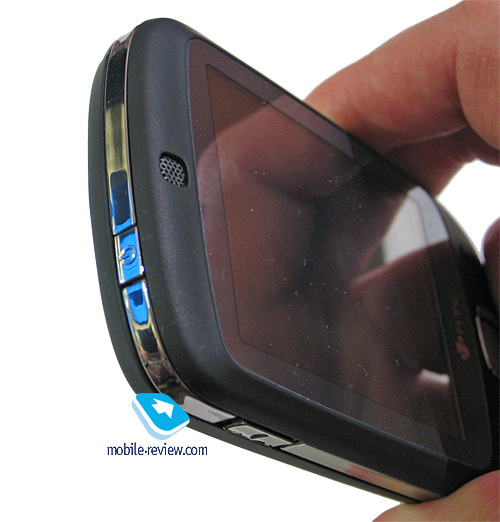 But here is an essential detail – think of it, a Windows Mobile-communicator that can get women interested. 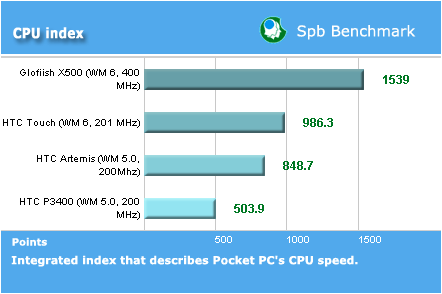 So far, the Qtek 8500 (HTC StarTrek platform) has been the only model with this ability. 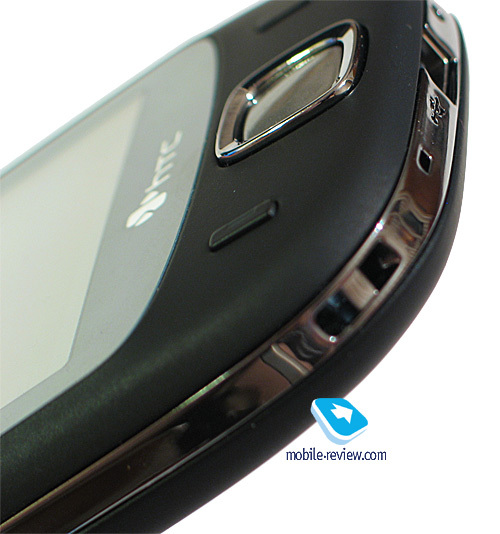 This is the spur that the HTC Touch can bring into the stagnant and draw people barely familiar with Windows Mobile. It would be hasty to say that the model will make it to the top of the charts, yet will some effort on HTC’s side, this wouldn’t be a big surprise. 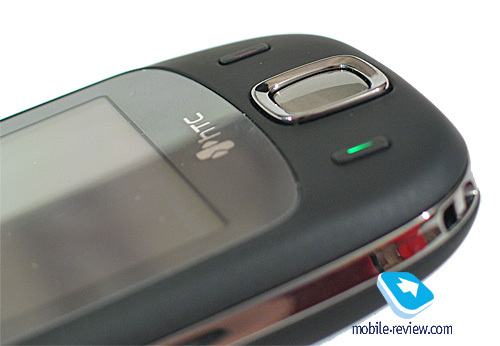 The HTC Touch is an interesting and quaint product that occupies a separate niche within HTC’s range and stands out against the backdrop of the existing solutions. This offering will definitely find an own audience, the question is, whether it will be an army of followers or a mere group.